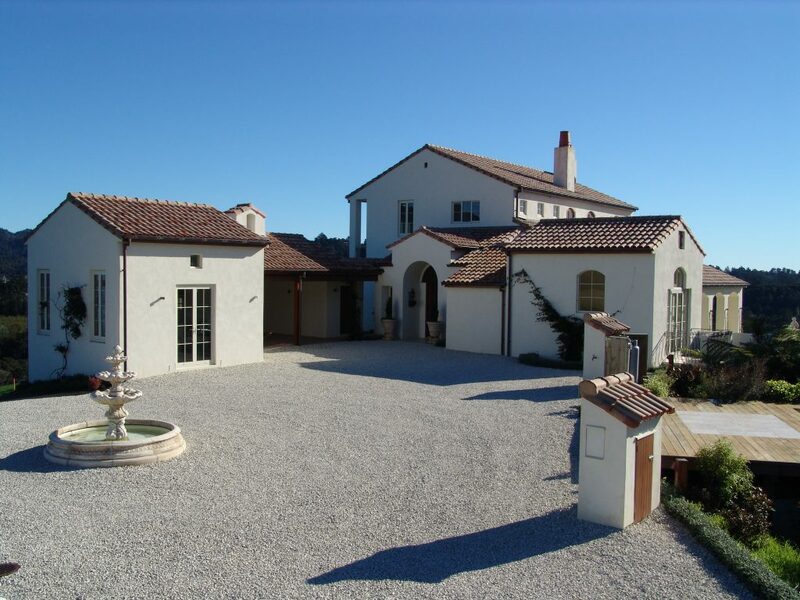 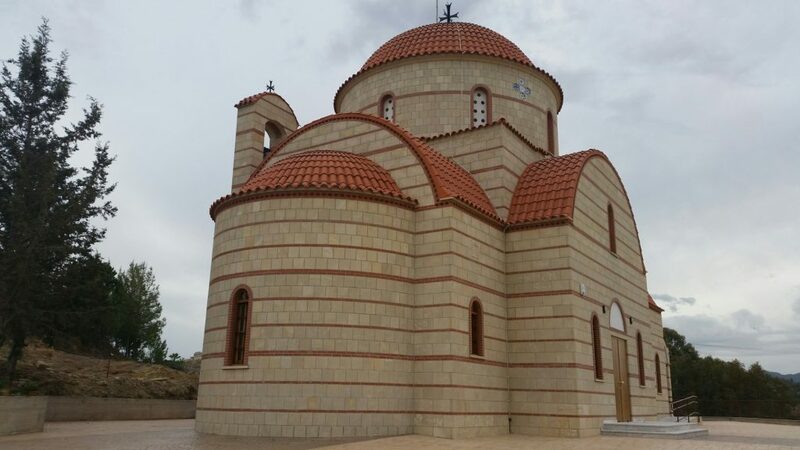 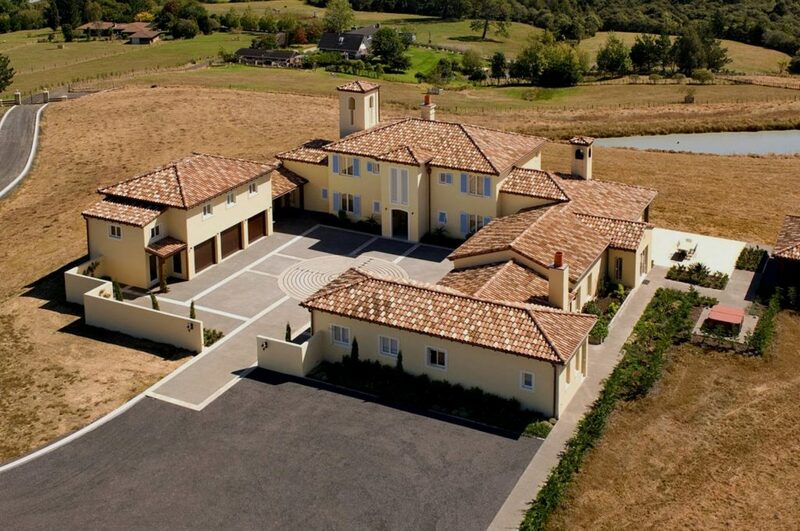 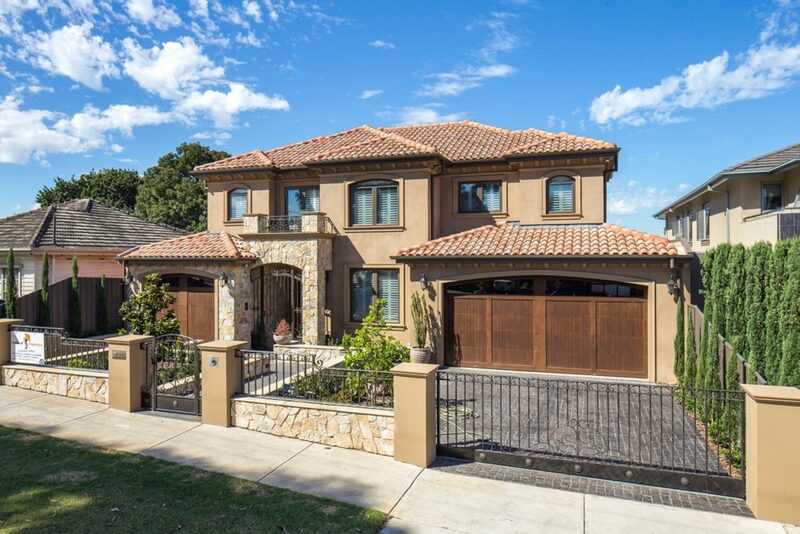 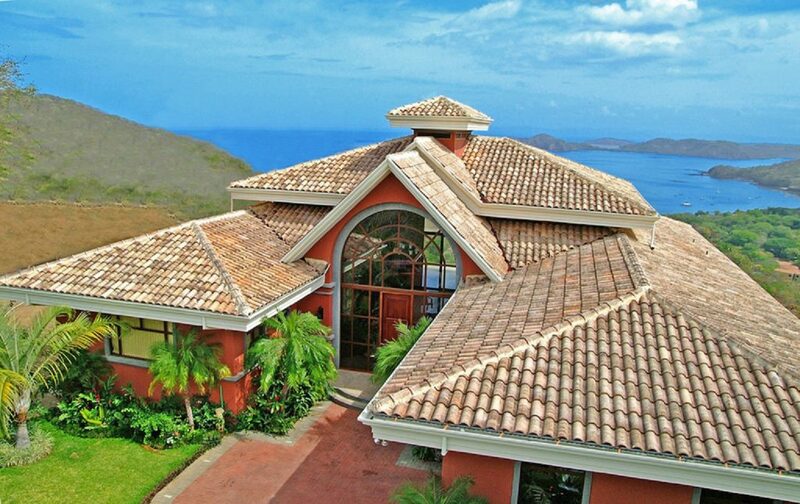 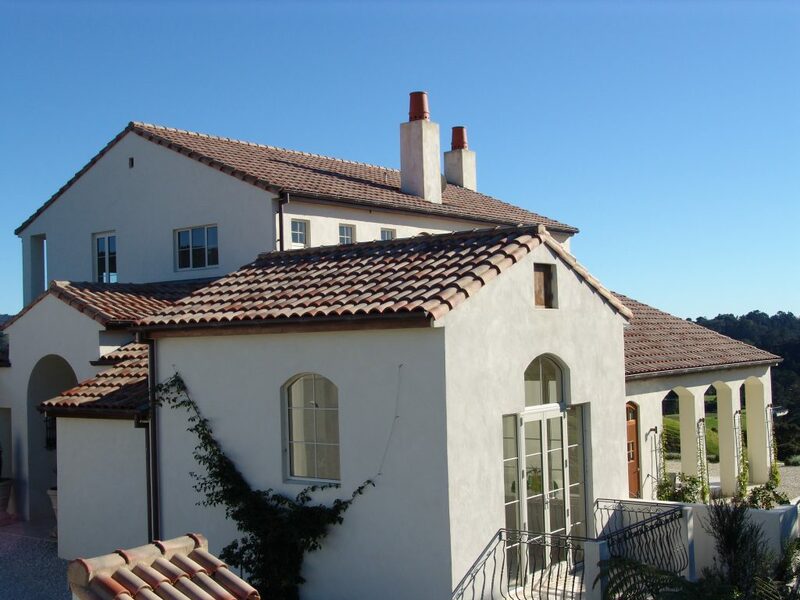 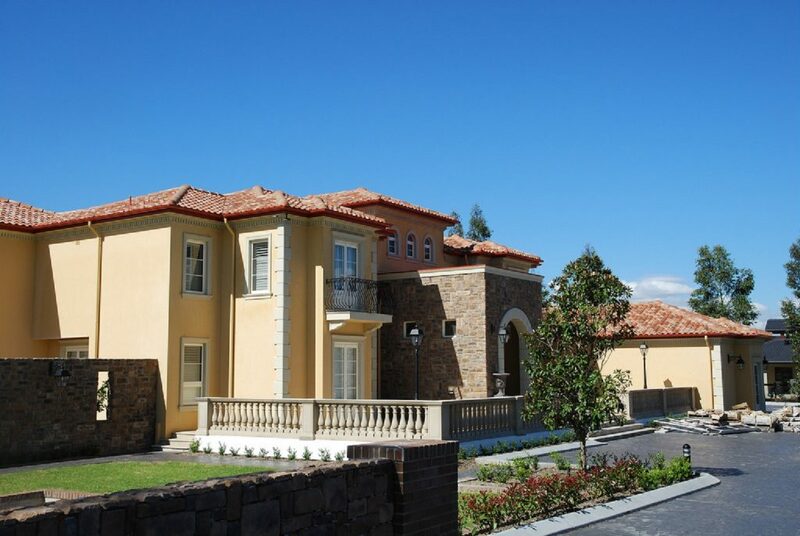 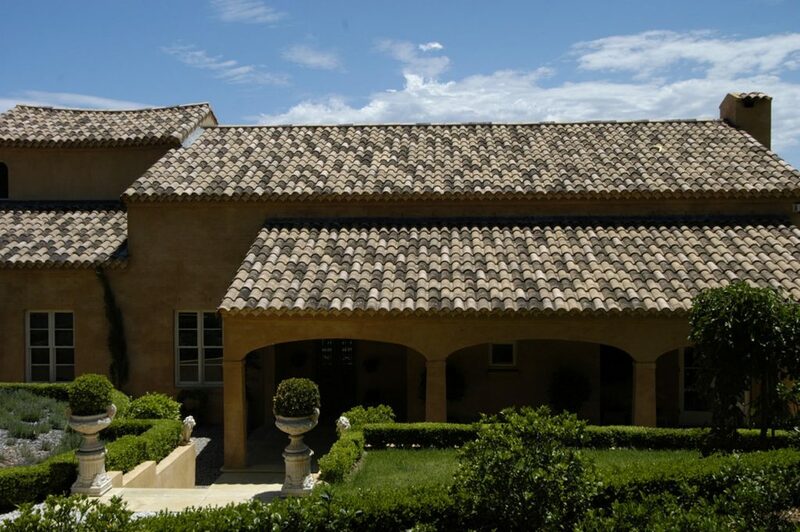 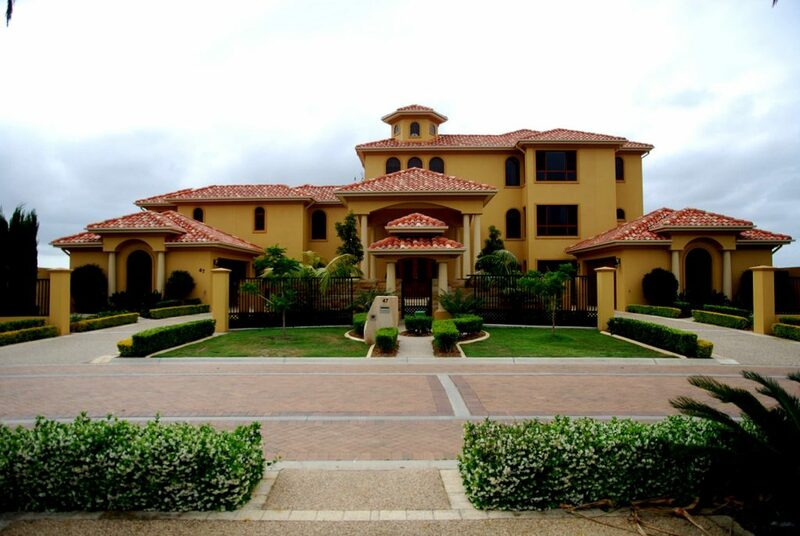 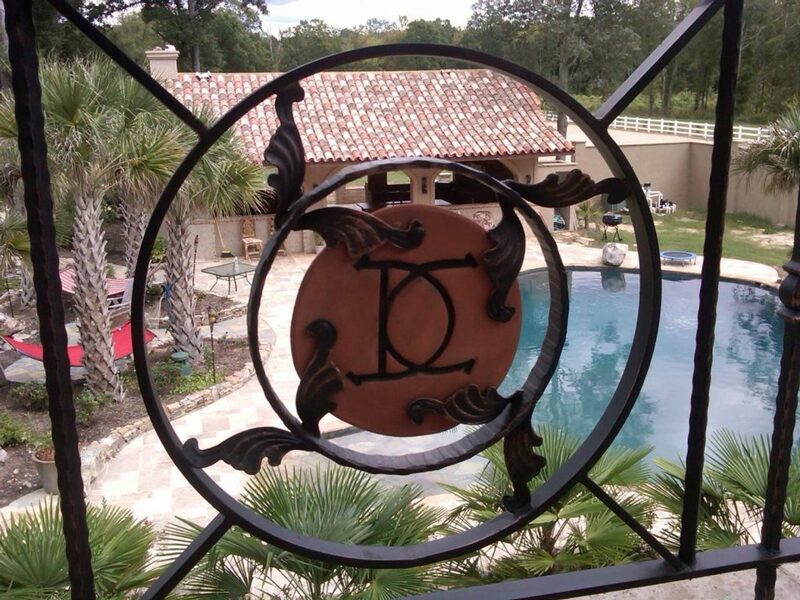 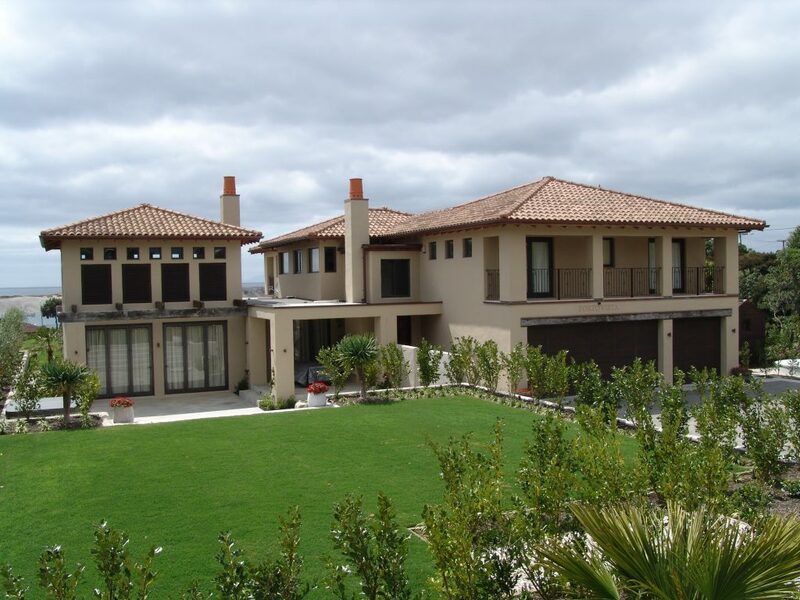 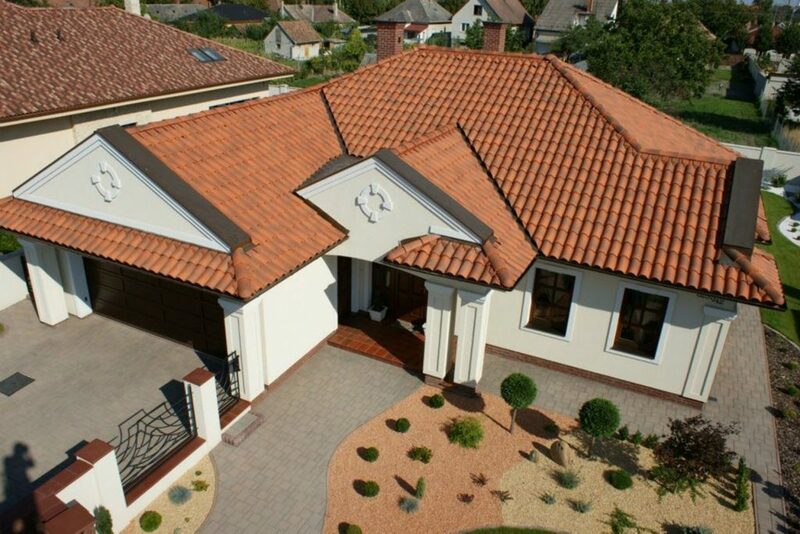 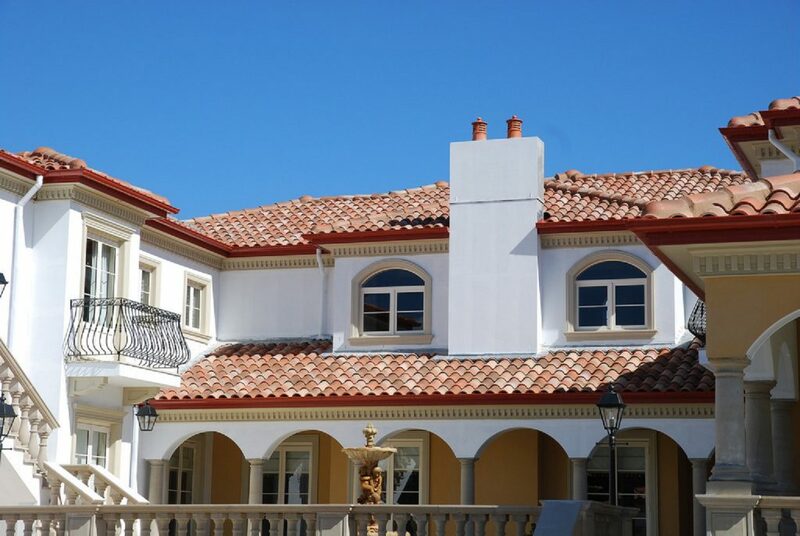 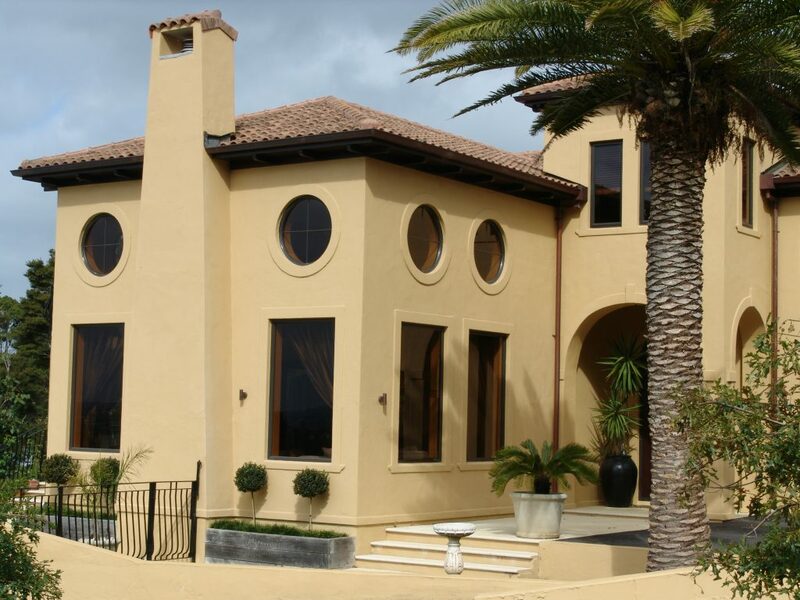 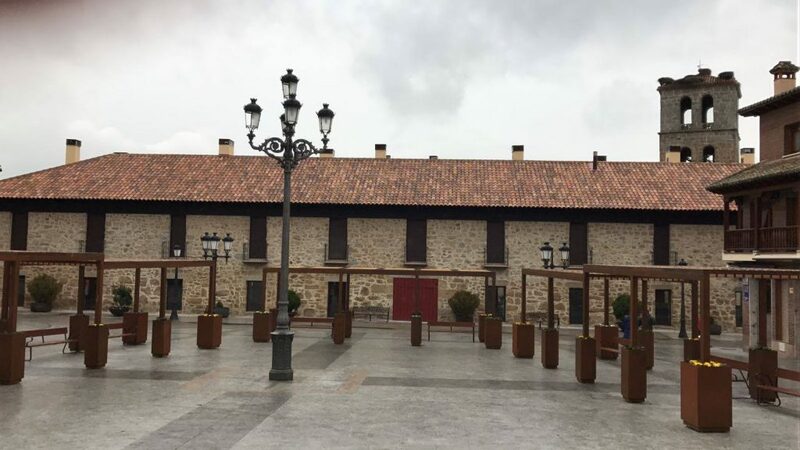 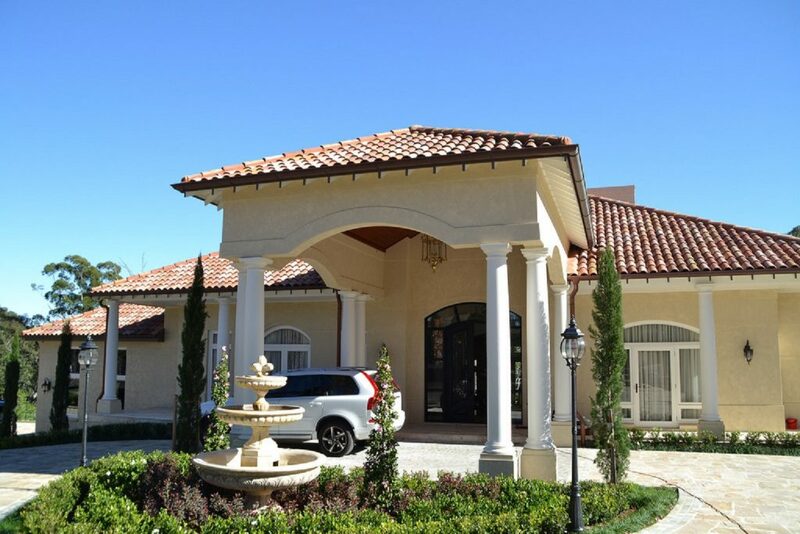 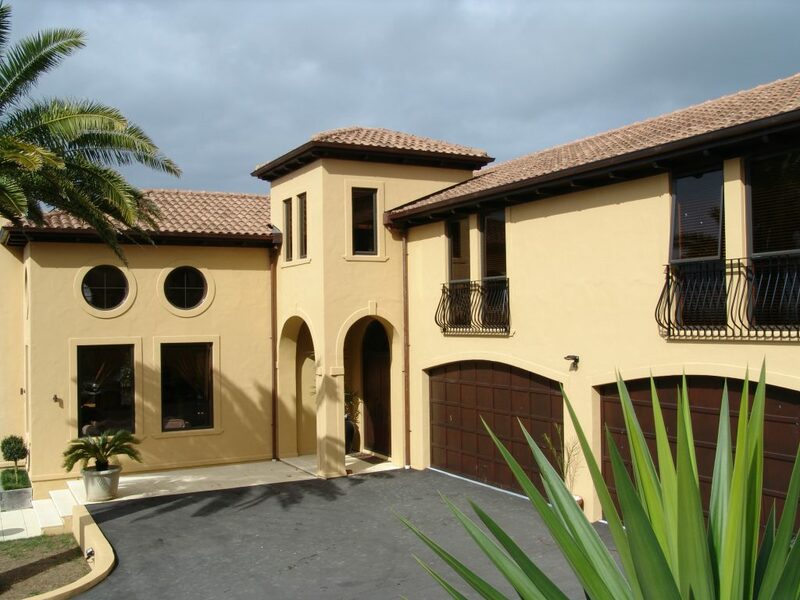 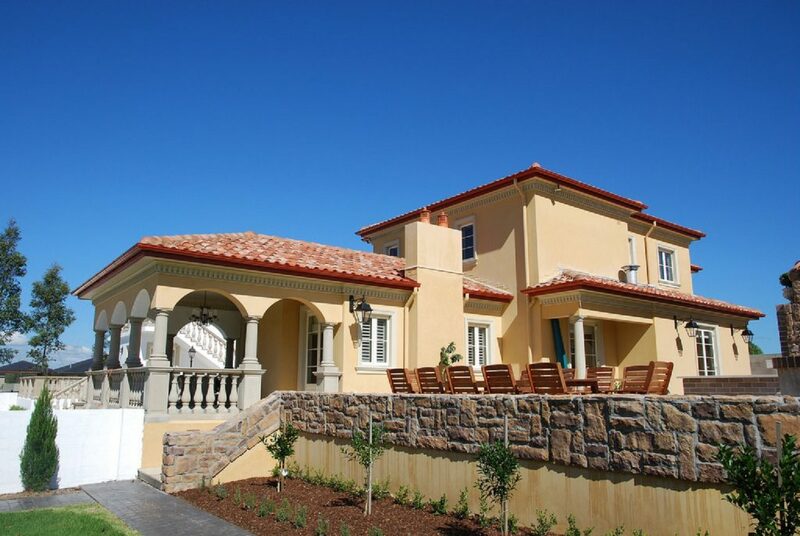 A double curvature mixed “S” roof tile where eaves and ridge tiles assure design and functionality to provide easy-to-install roofs with the special characteristic beauty of the Mediterranean roofs. 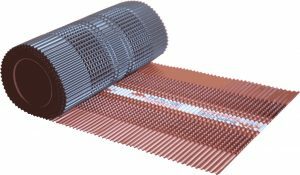 Recommended underlay for a 15° pitch is Thermakraft Covertek 403. 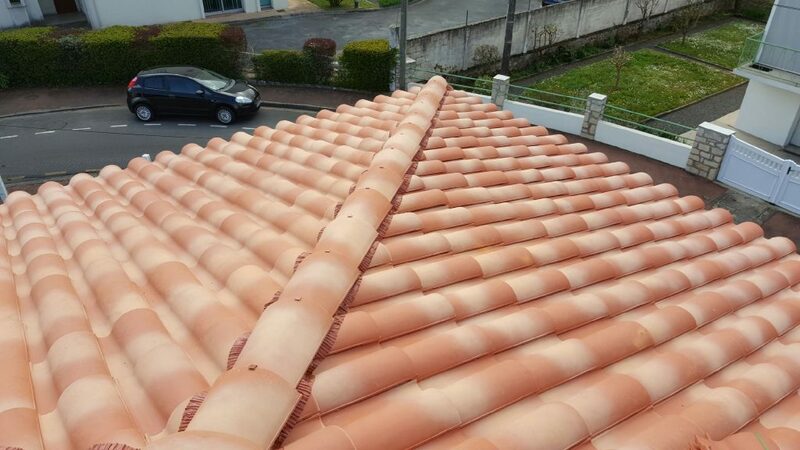 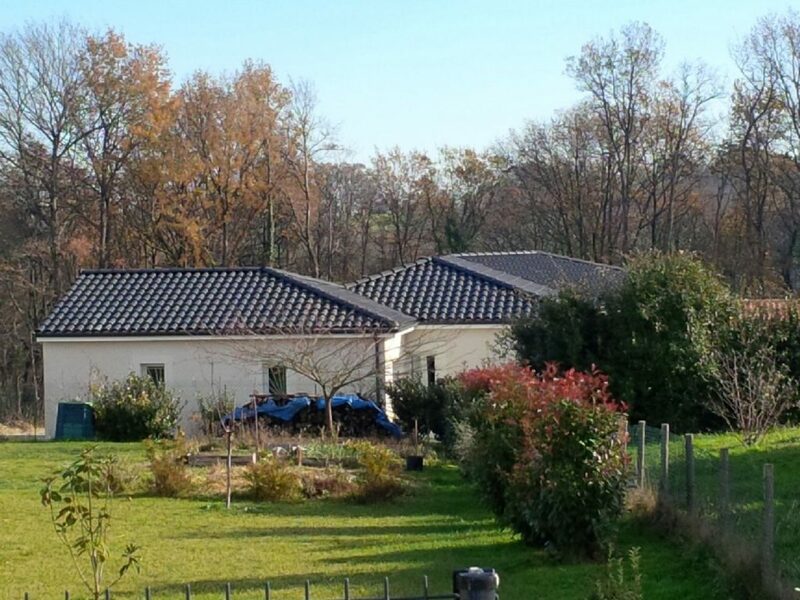 It is mandatory that all Solerati roof tiles use underlay. 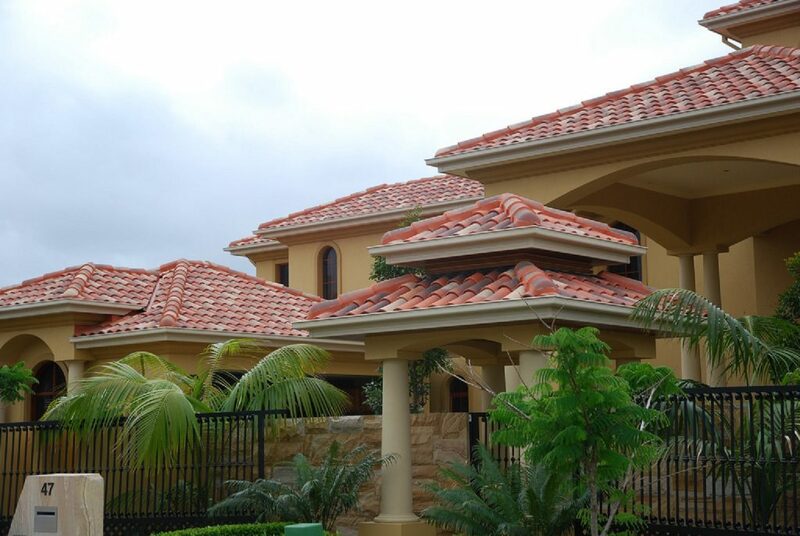 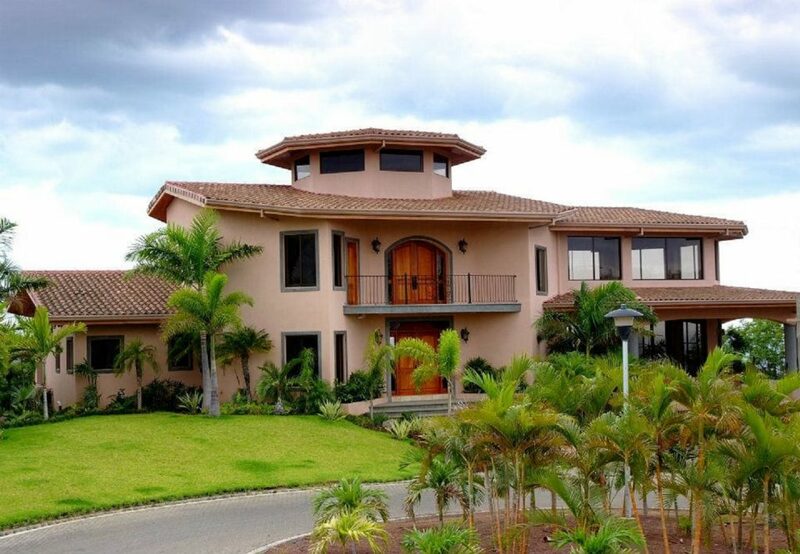 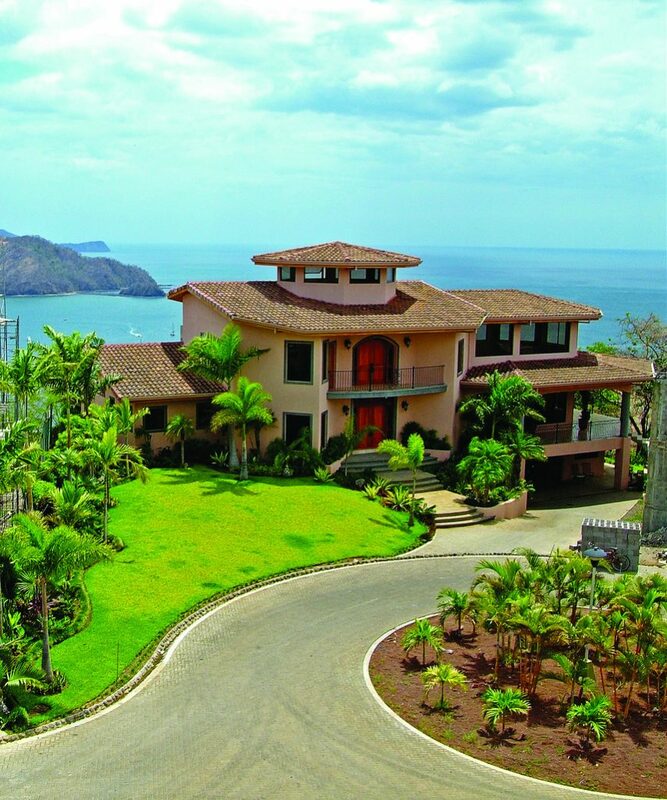 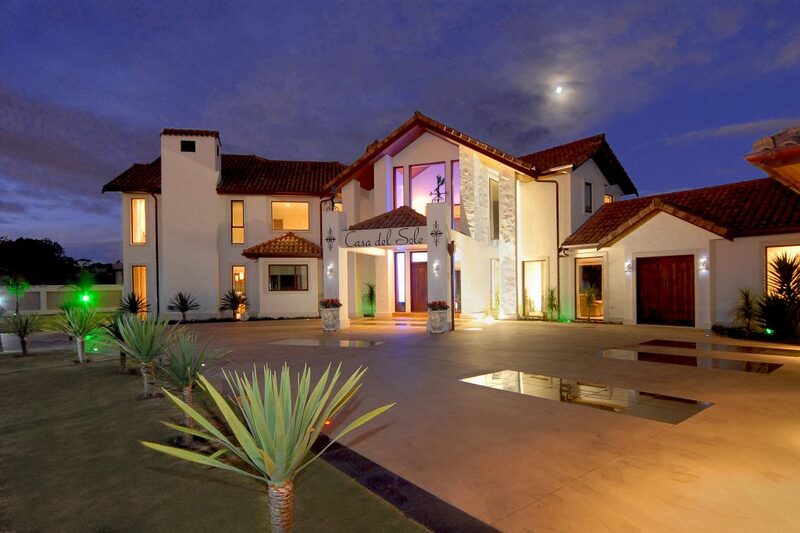 Its double curvature, eave, and ridge joints design and functionality are inspired by the Arabian Peninsula style. 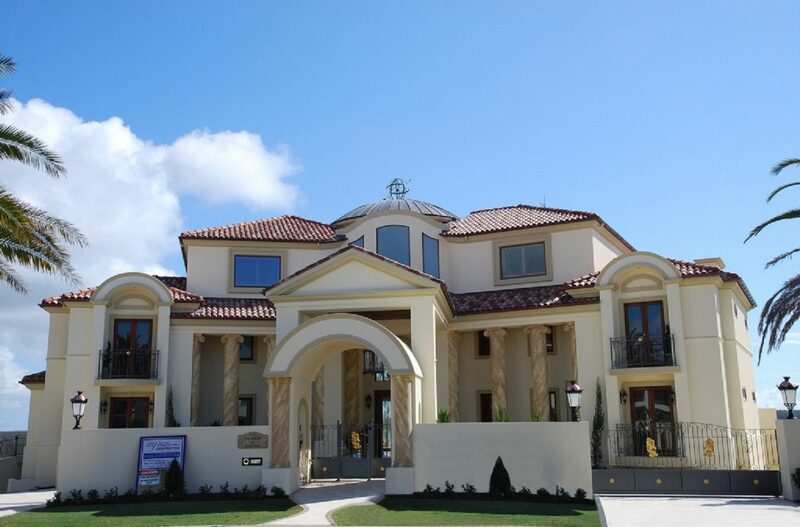 Mediterranean aesthetics with the easiest fixation. 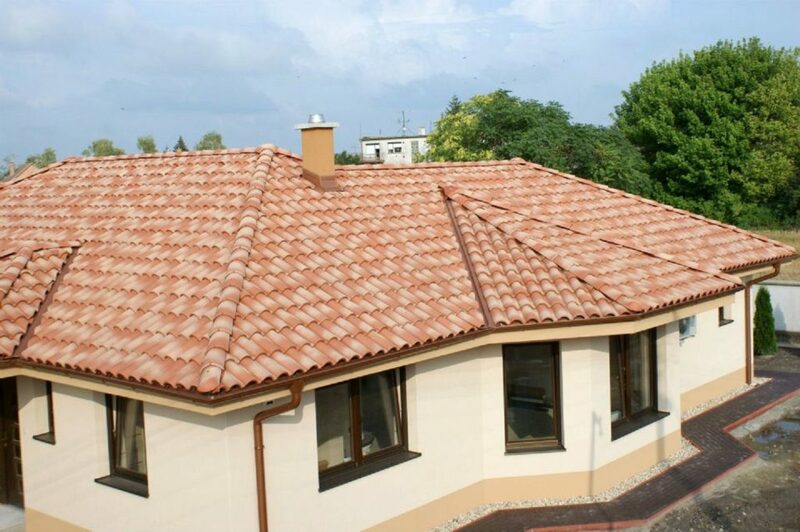 A roof tile with a wide range of colors and complements to satisfy all professional’s needs and preferences; suitable to all type of roofs (new and aged ones). 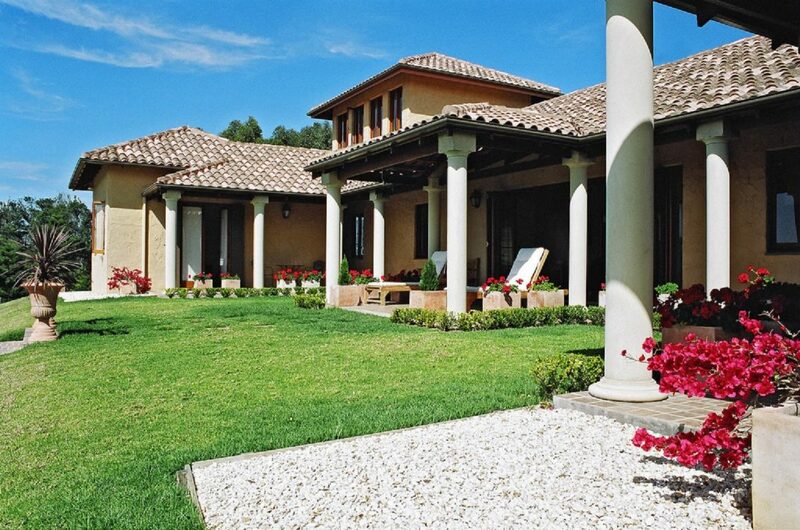 Manufactured from the highest quality clay that is in abundance in and around Alicante, Spain. 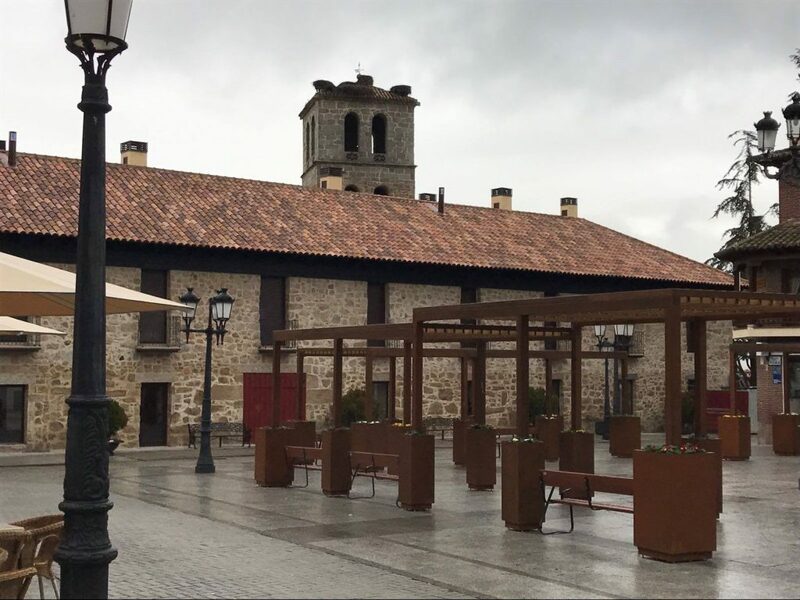 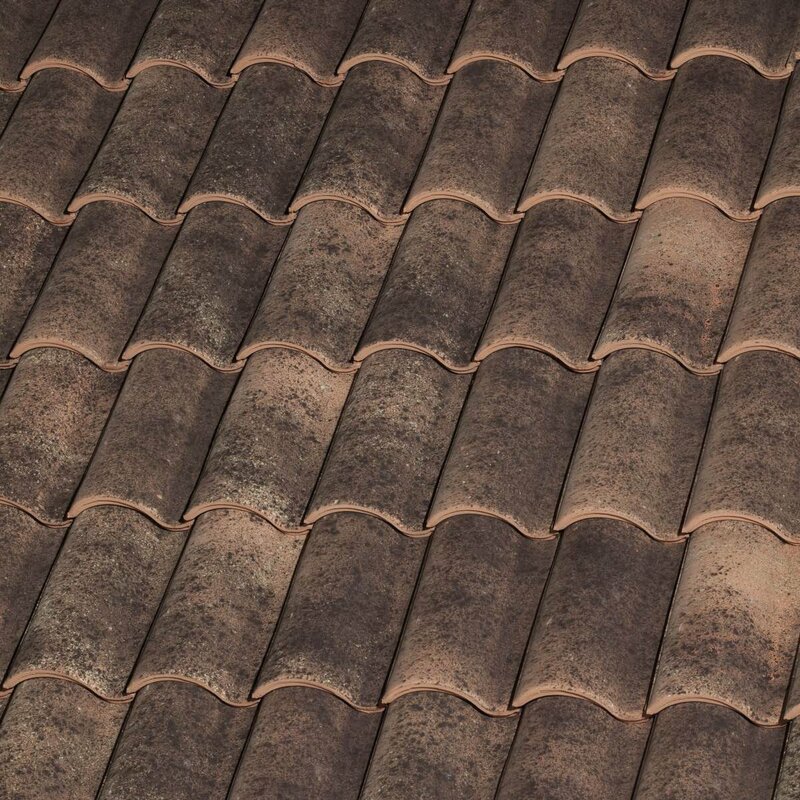 Solerati’s Cureva roof tile incorporates a modern interlocking design and a deep profile that works in shedding water quickly. 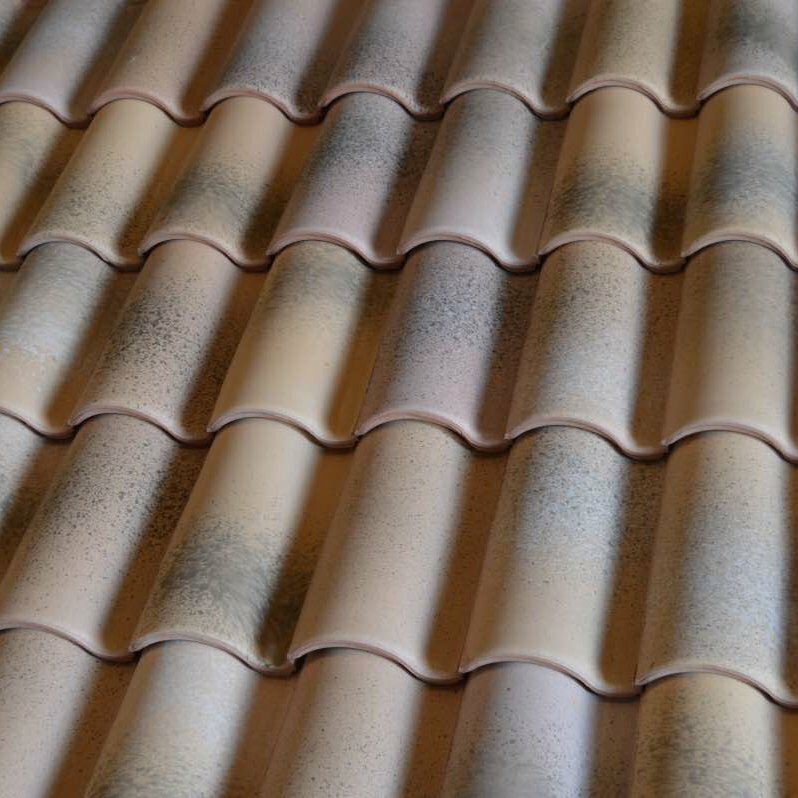 The Cureva tile is available in a range of thirteen colours with different finishes which include the natural textured finish in various colours to a unique texture and colour to create an aged tile. 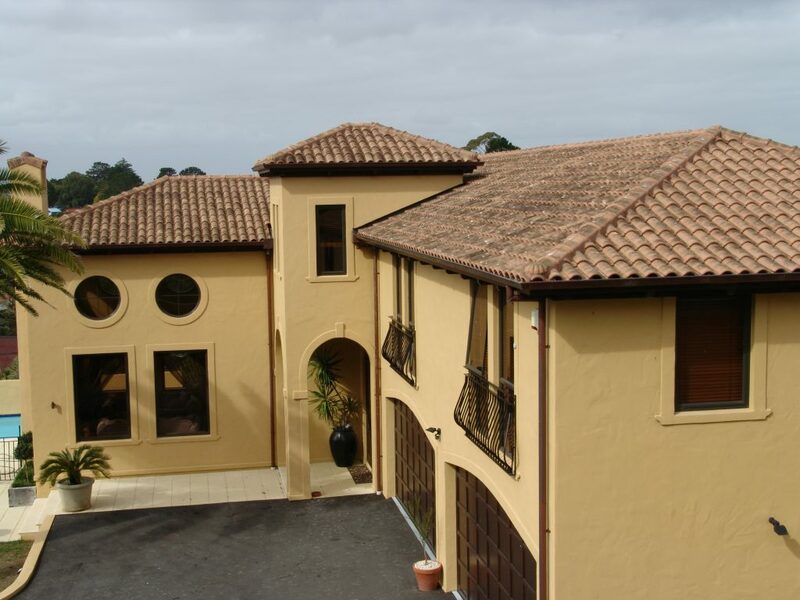 The most popular colour of Cureva tile that is crowned on some of New Zealand’s most beautiful homes is a tile called Lucentum. 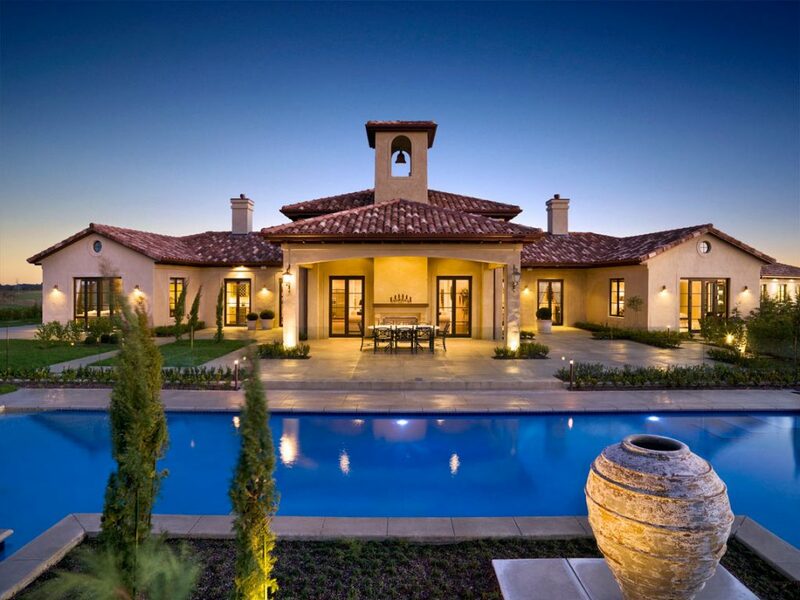 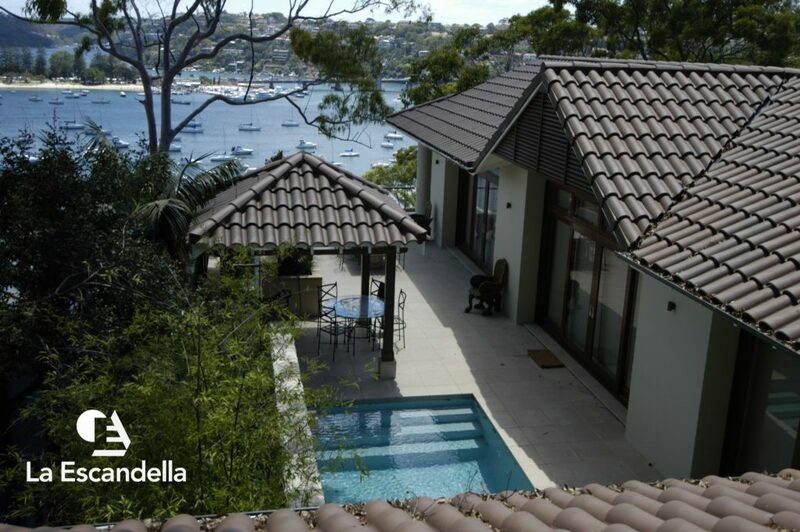 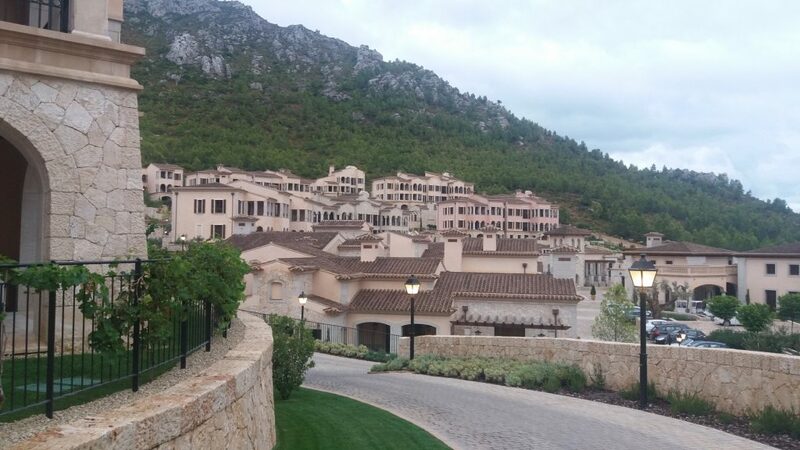 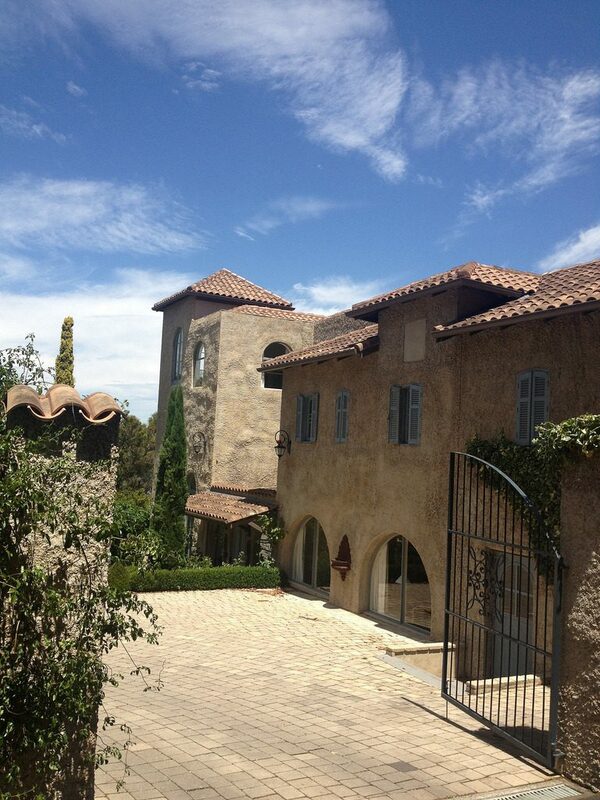 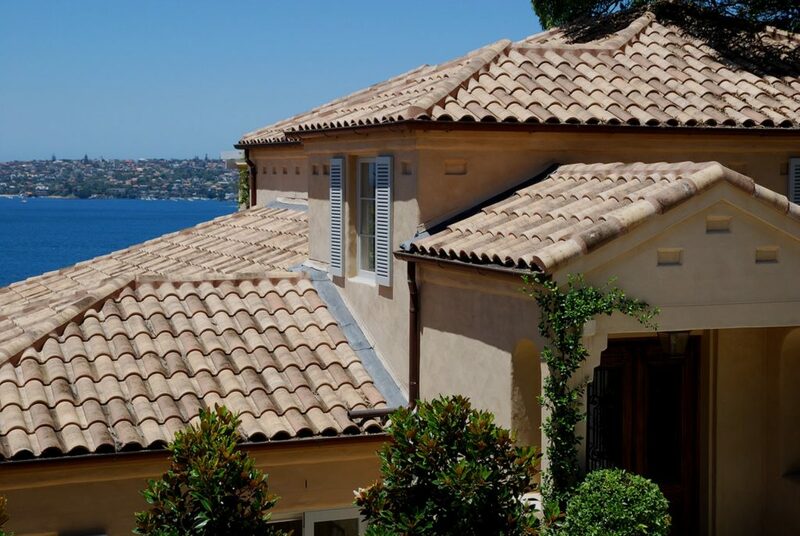 This unique tile presents itself, enabling the colour to blend perfectly with most Mediterranean designed homes. 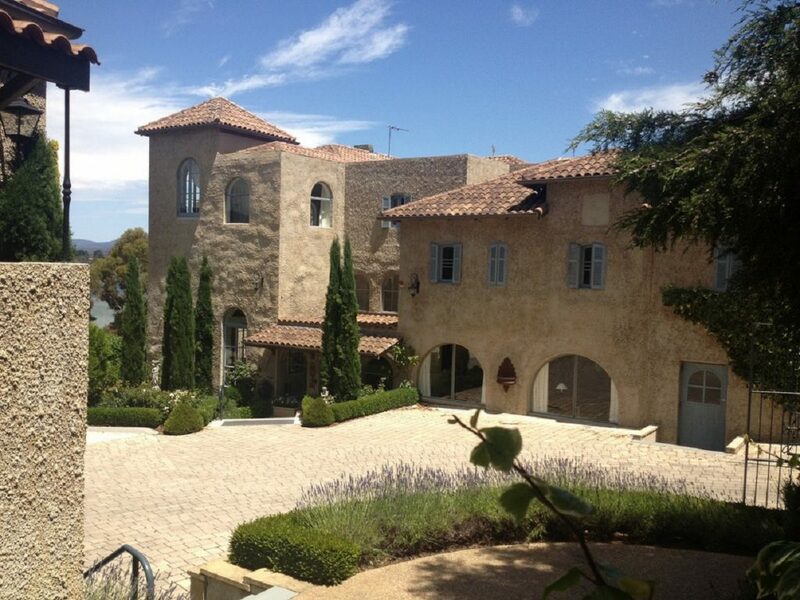 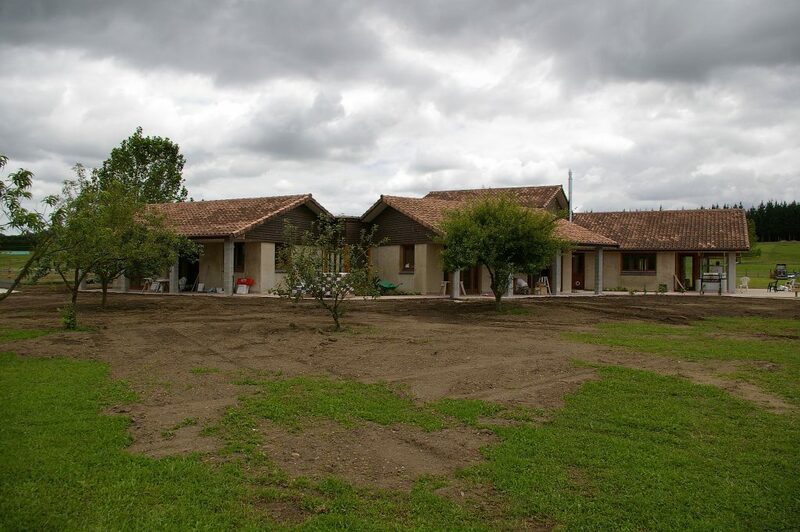 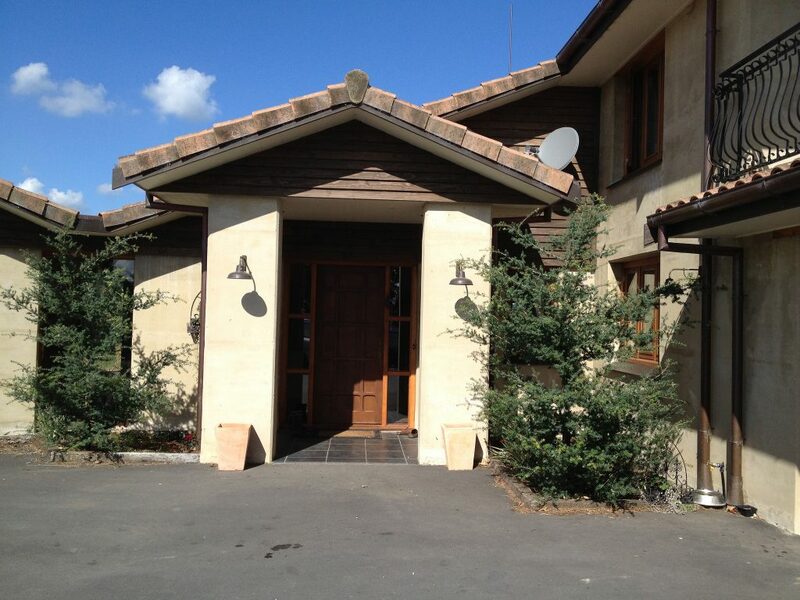 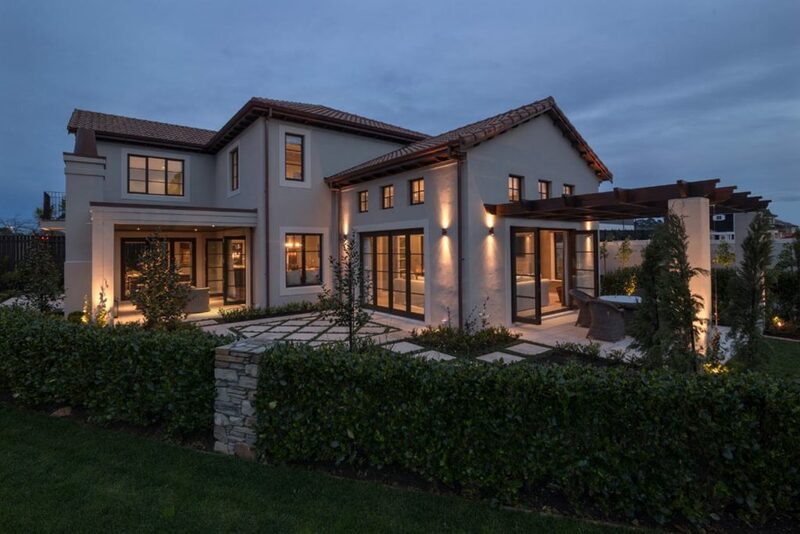 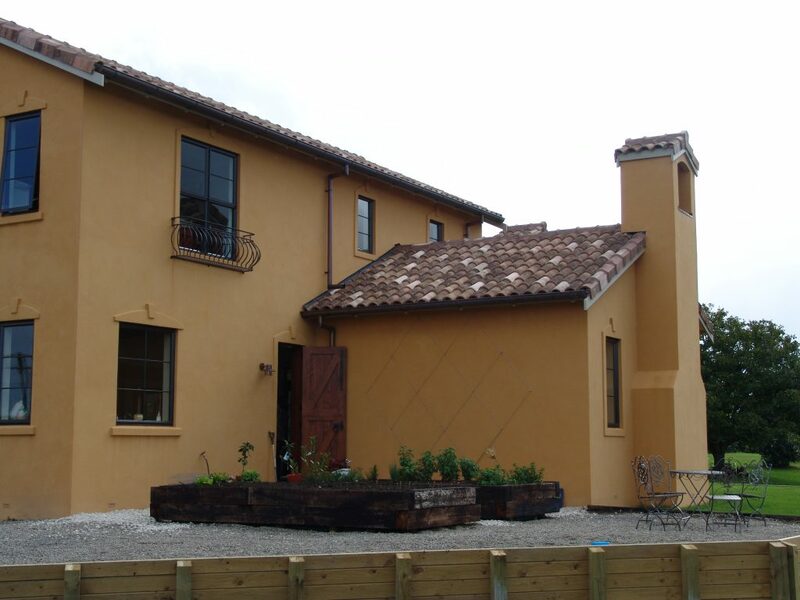 Evidence of this can be seen with the amount of homes displayed in Solerati’s gallery of beautiful homes. 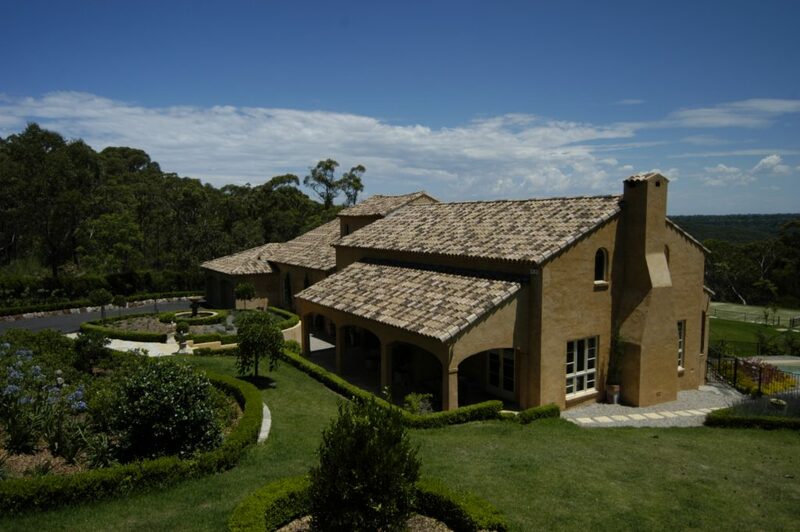 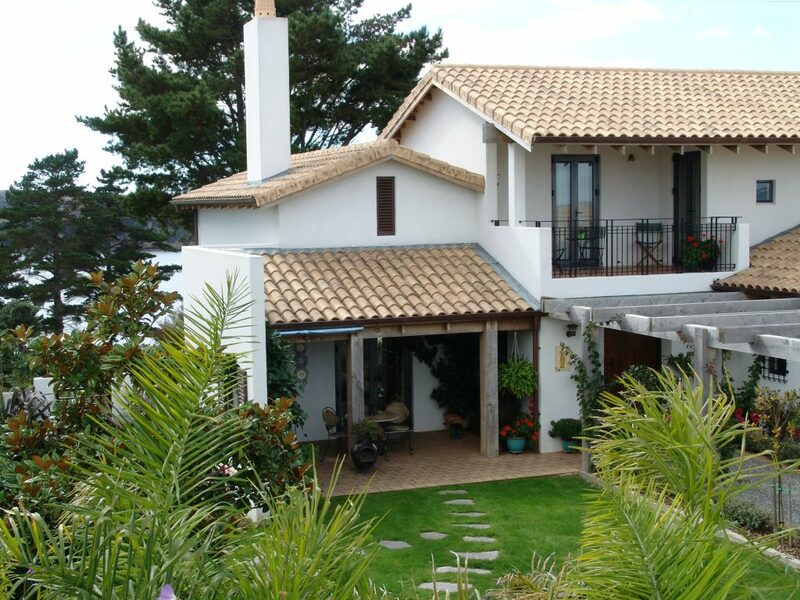 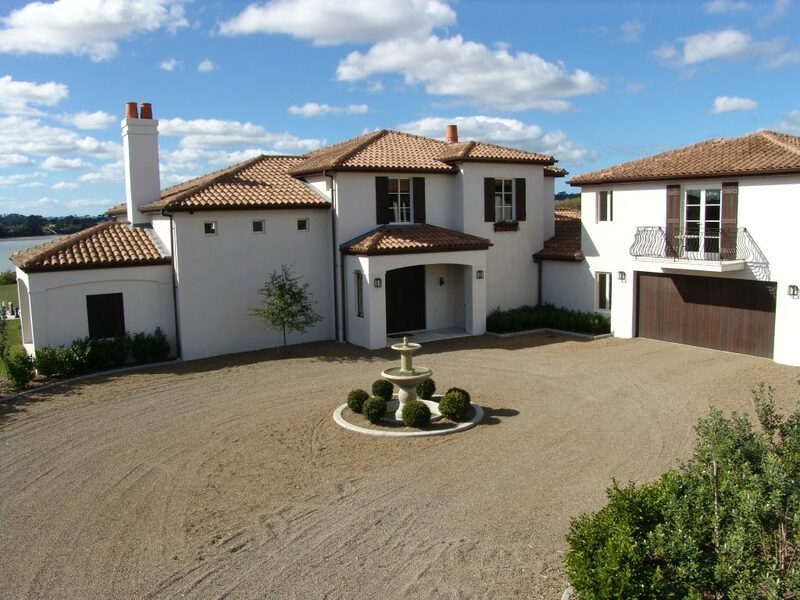 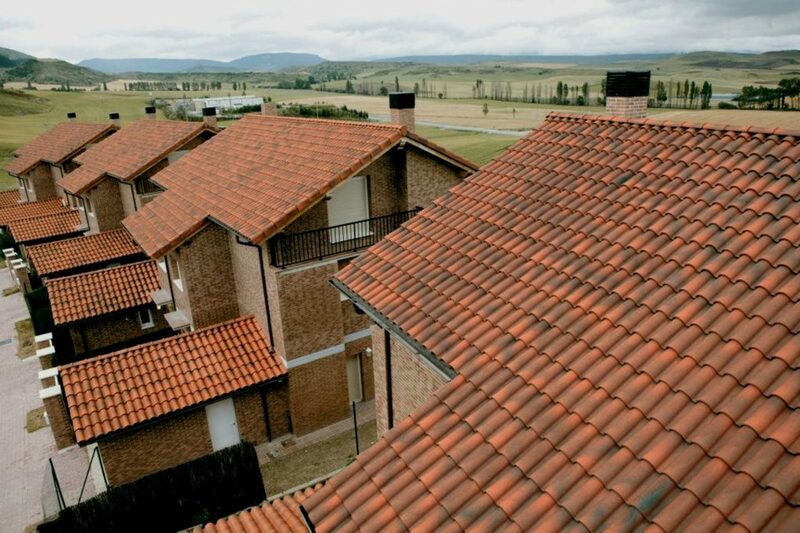 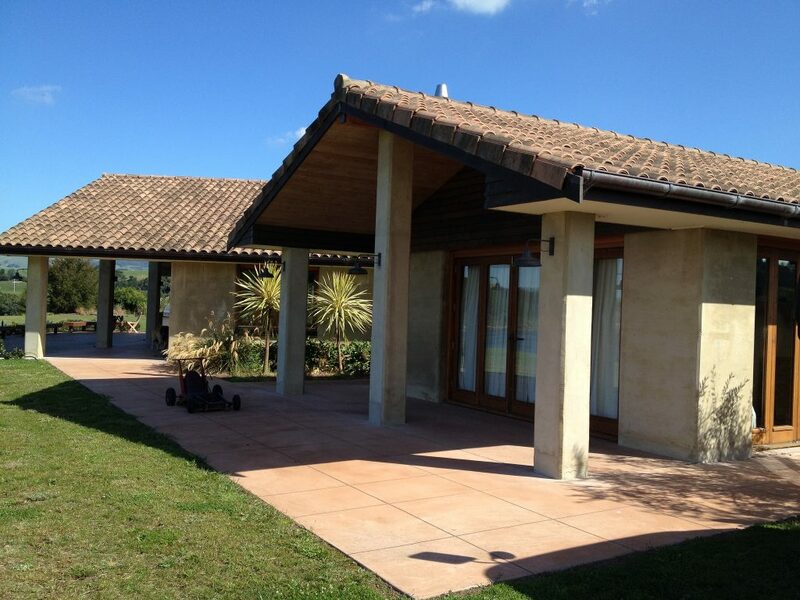 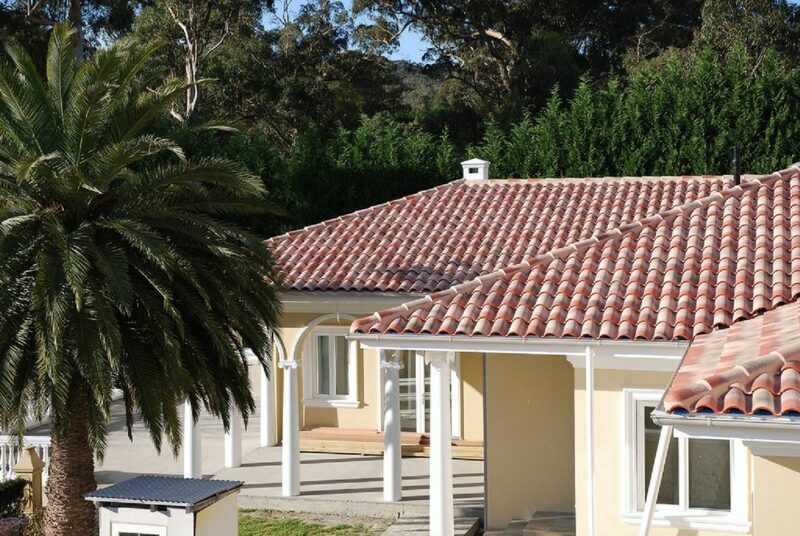 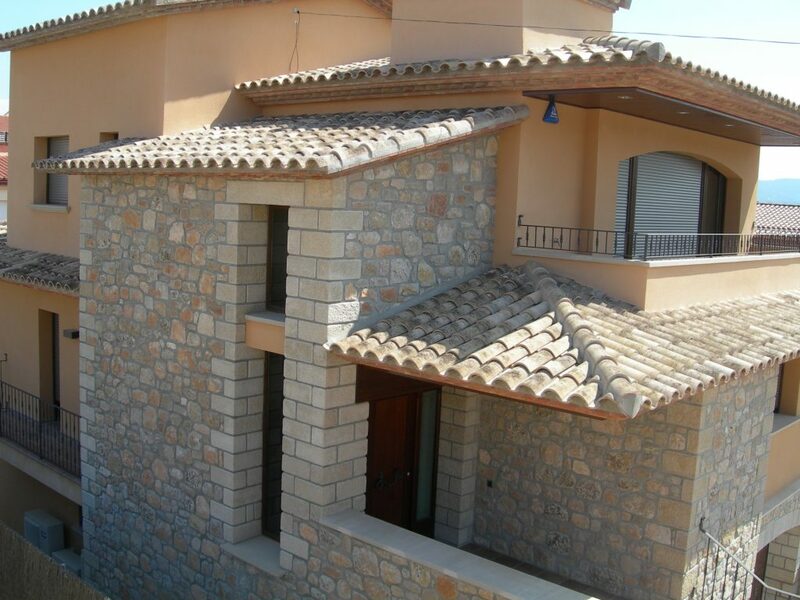 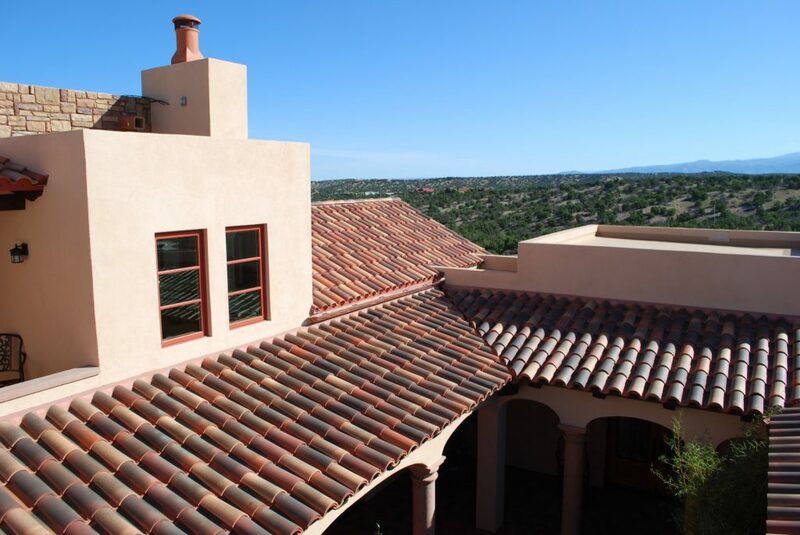 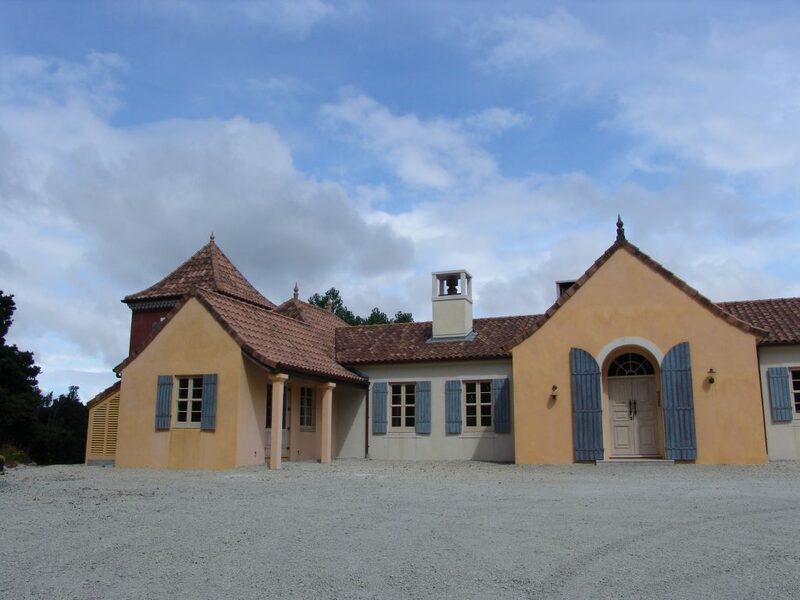 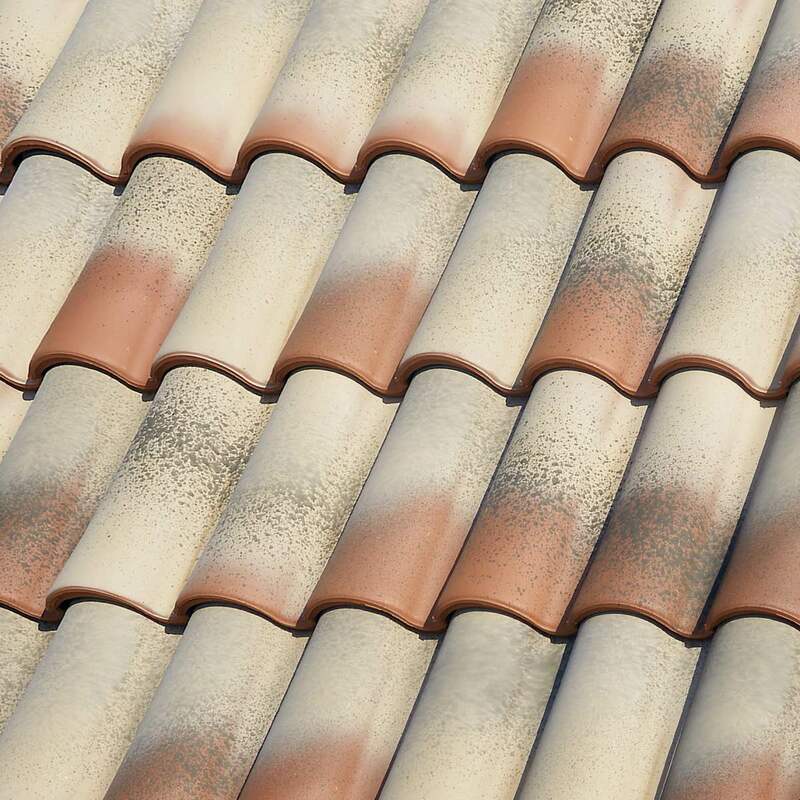 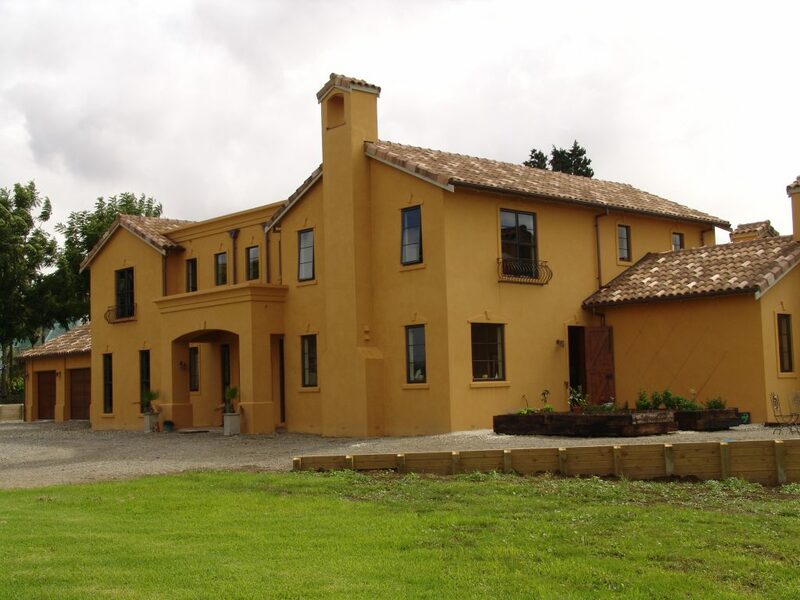 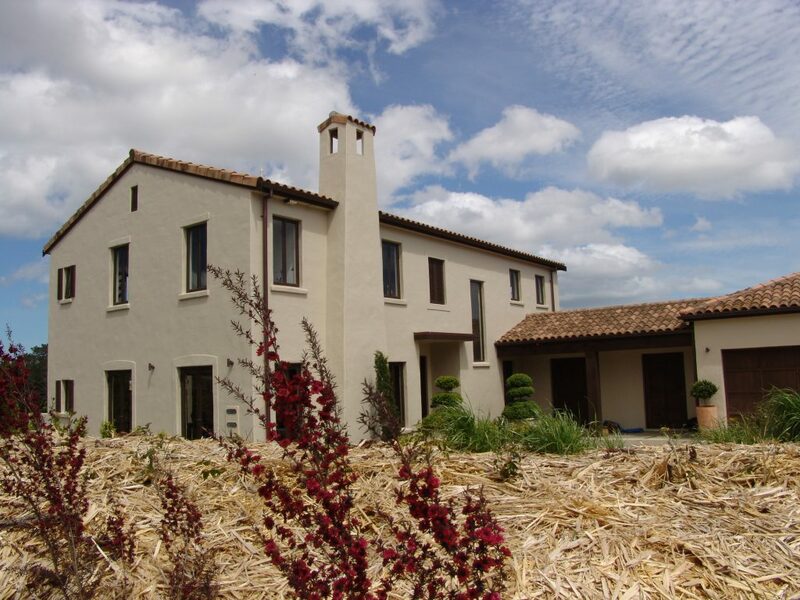 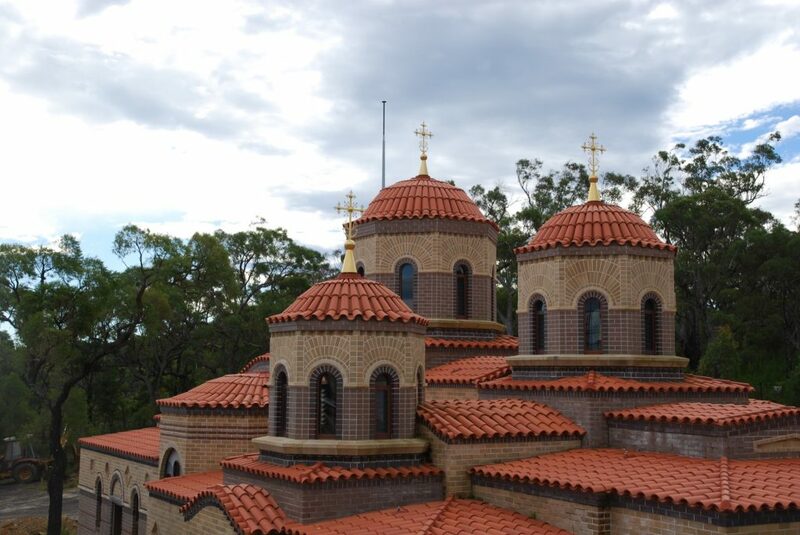 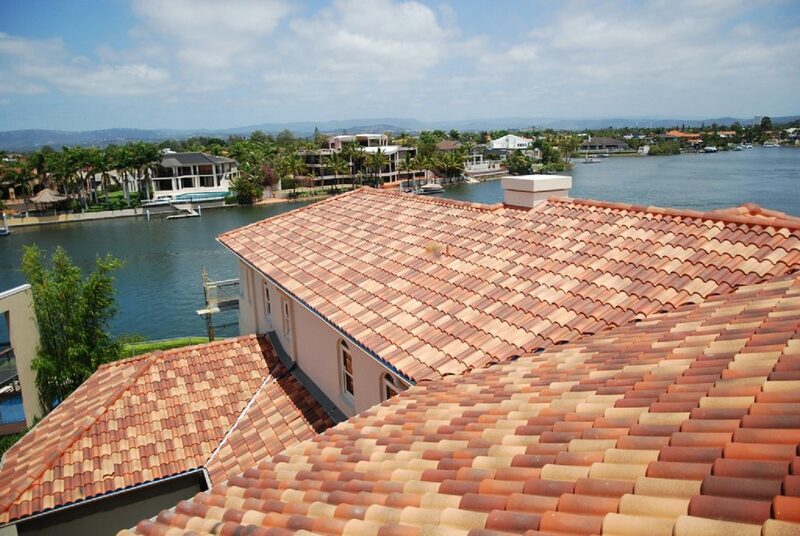 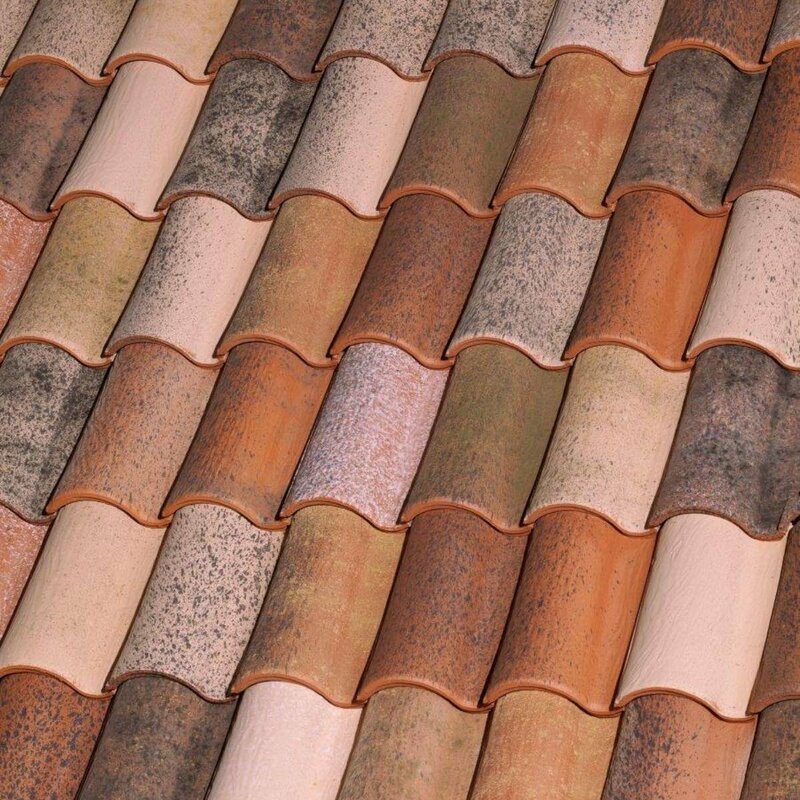 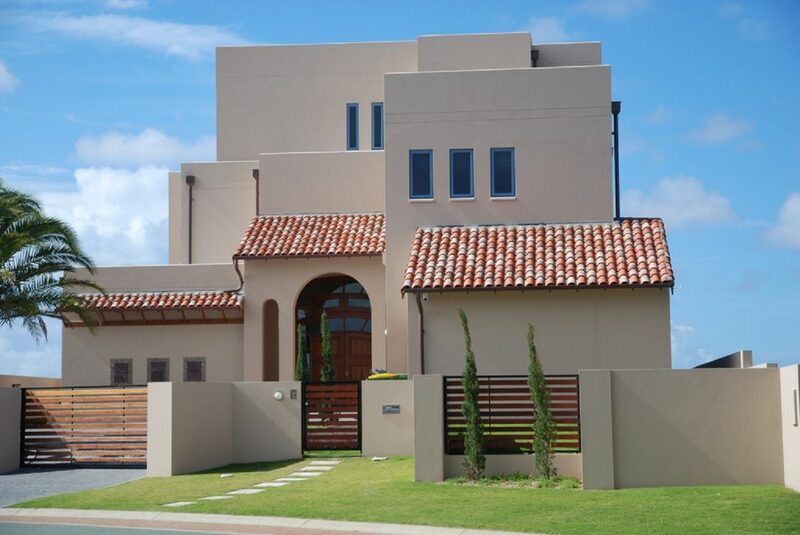 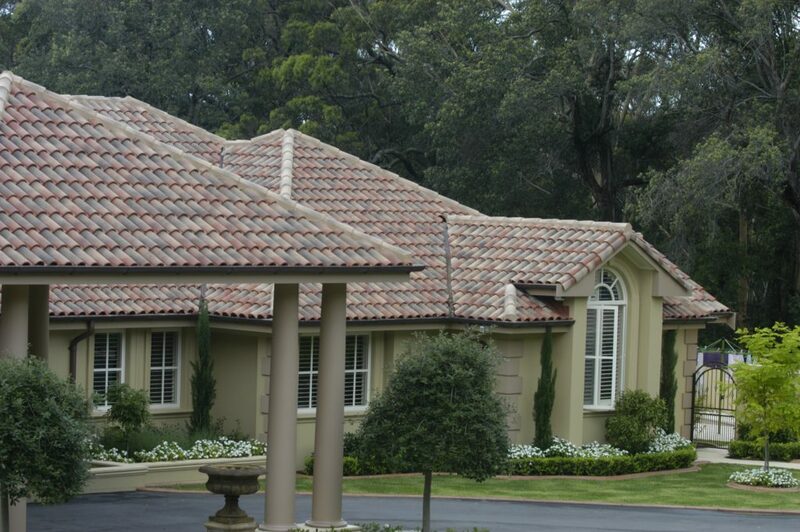 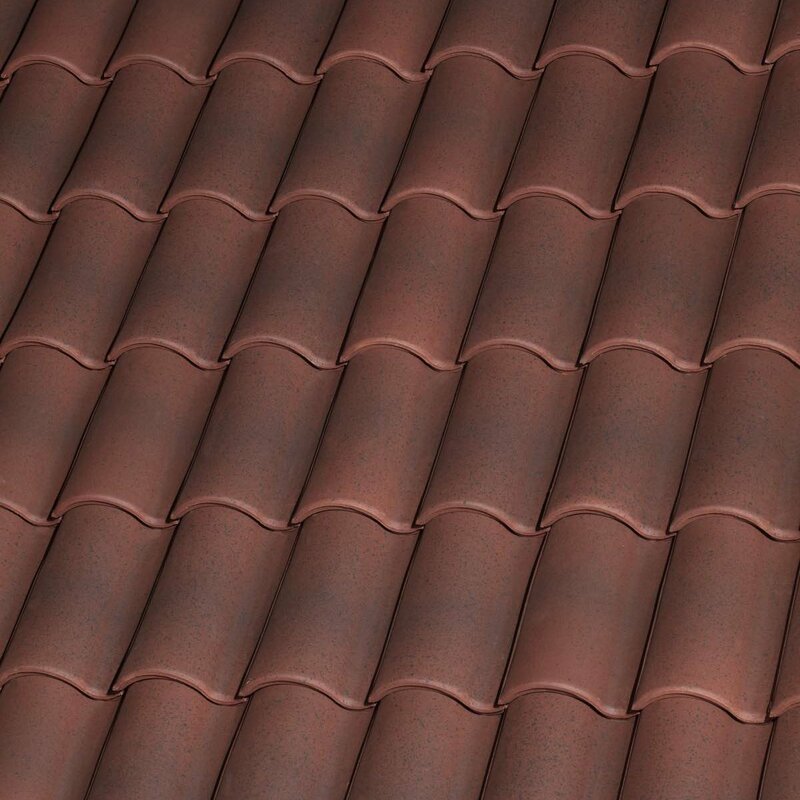 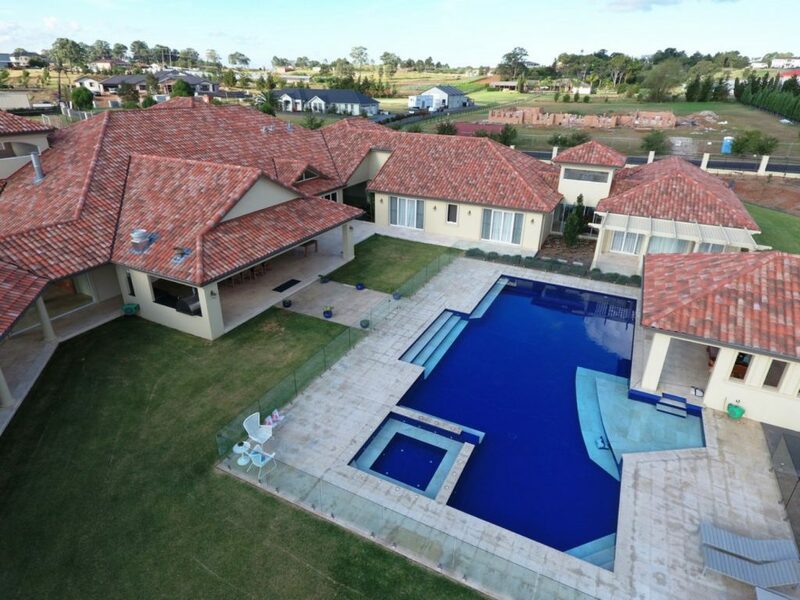 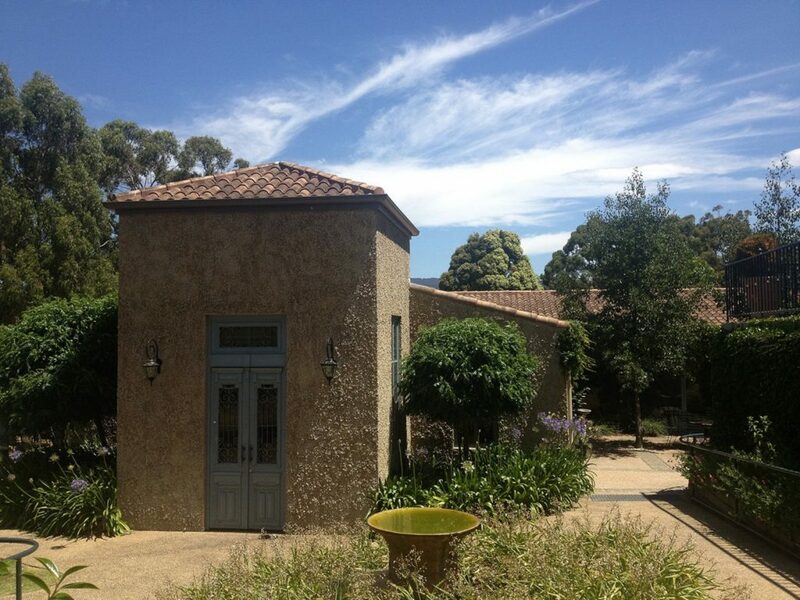 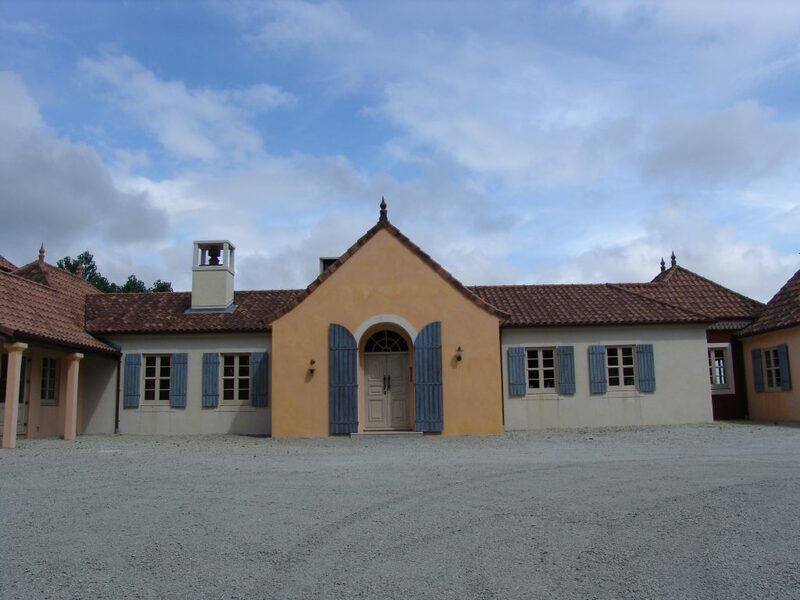 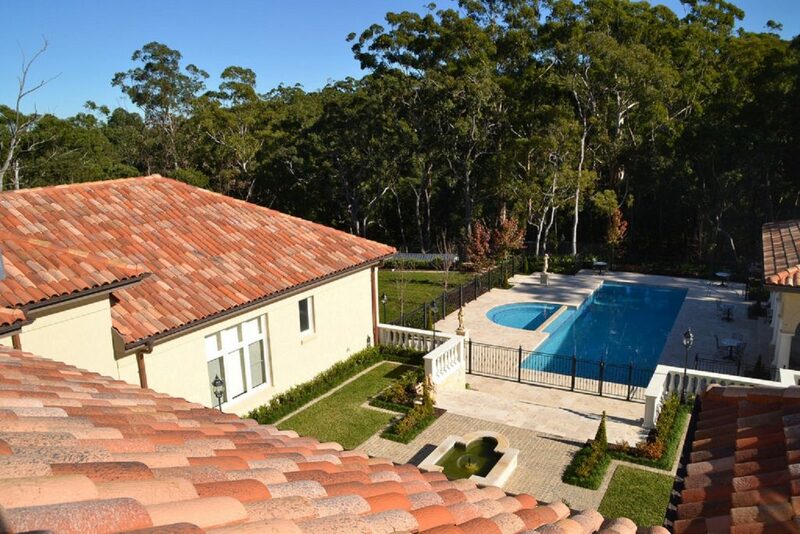 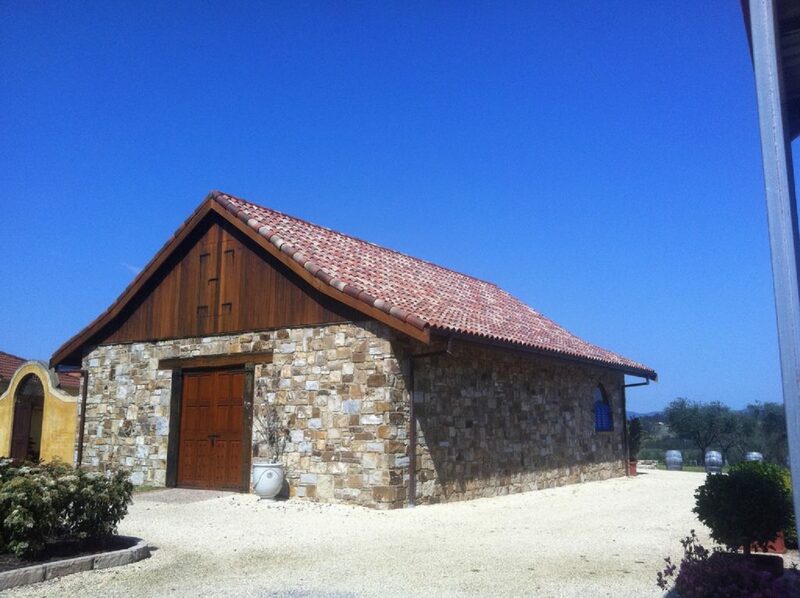 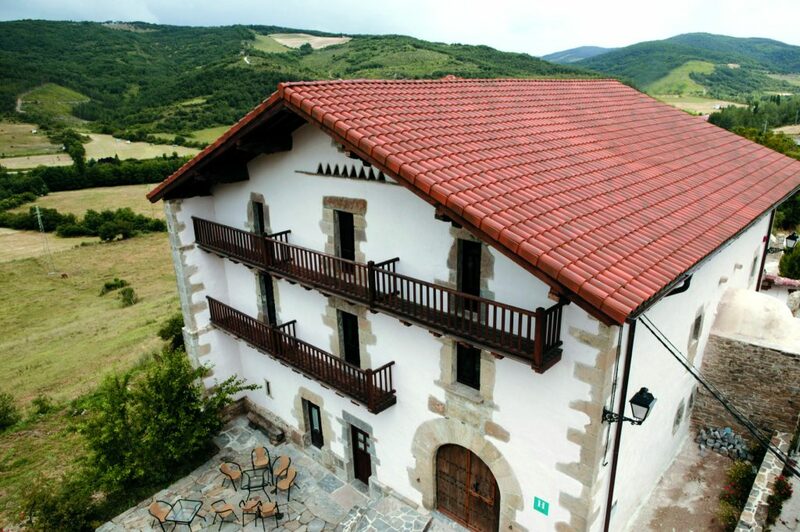 Solerati’s range of roof tiles are complemented with a colour matching range of special pieces. 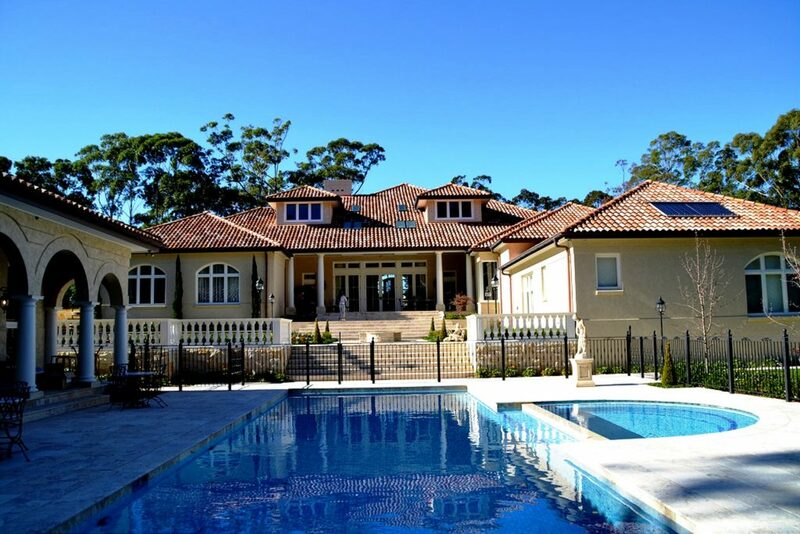 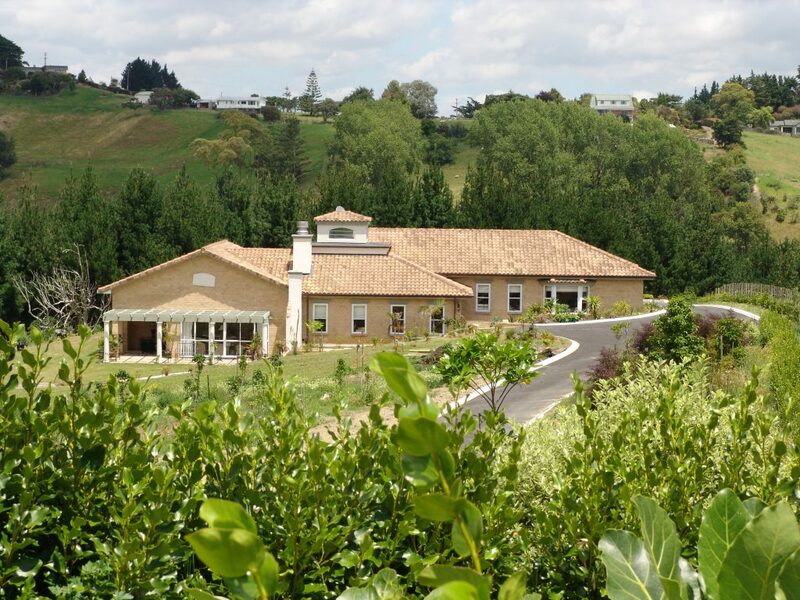 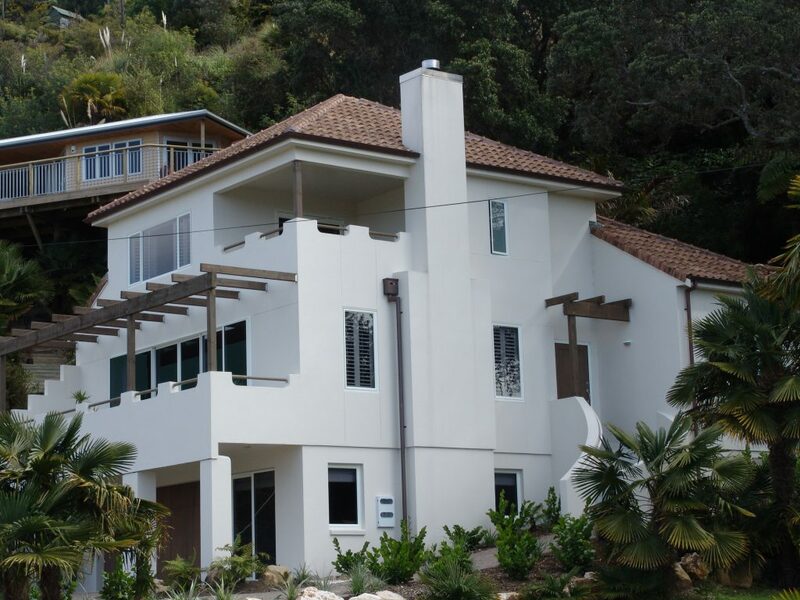 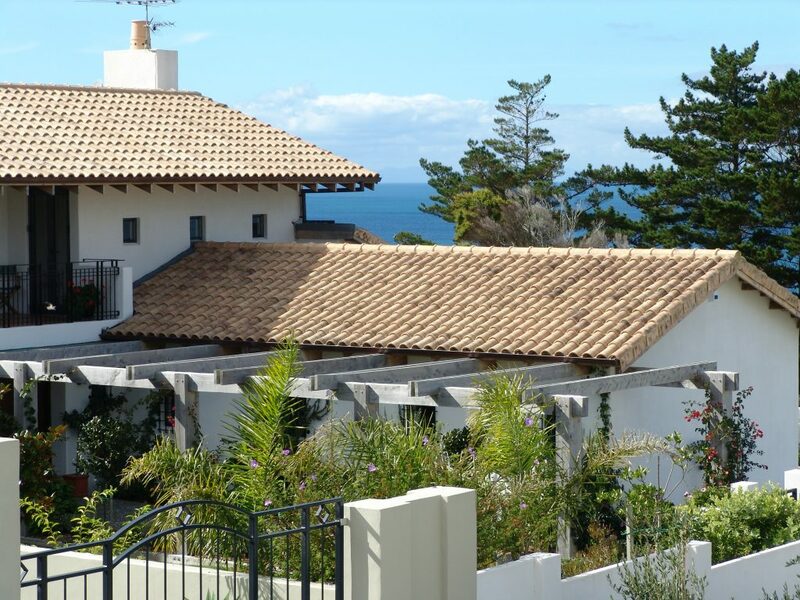 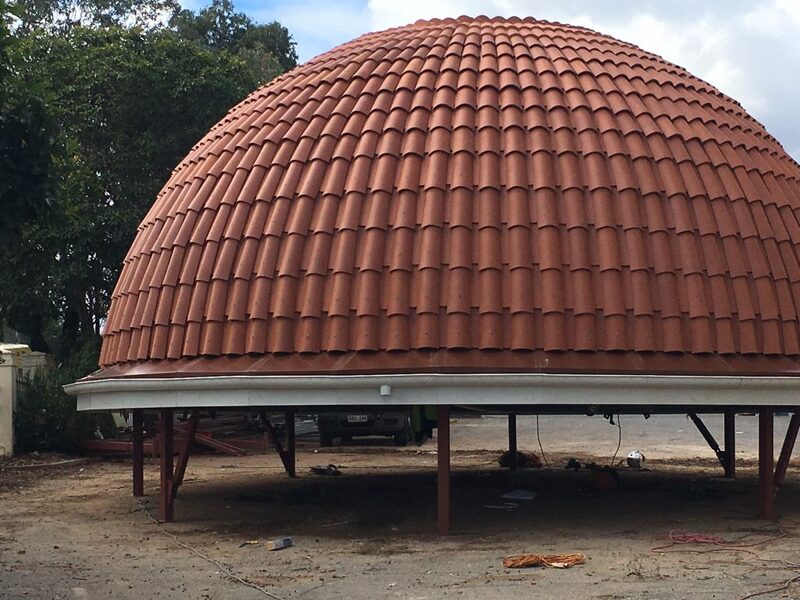 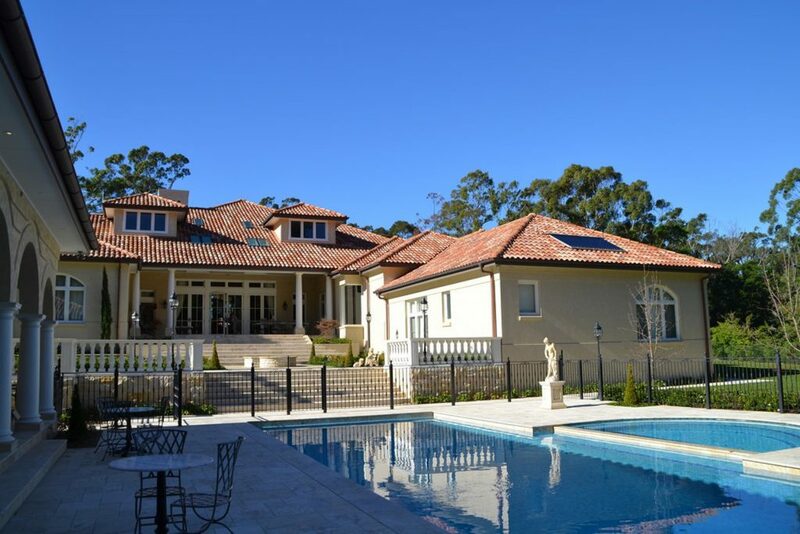 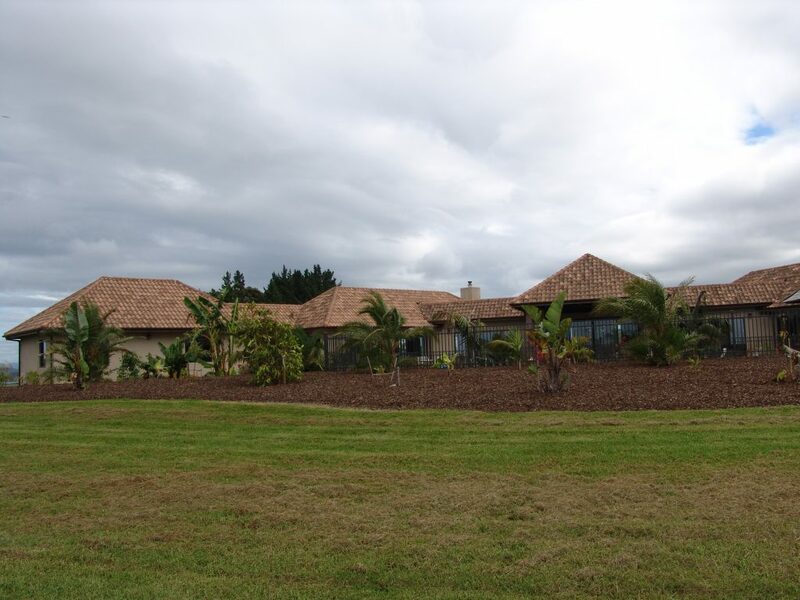 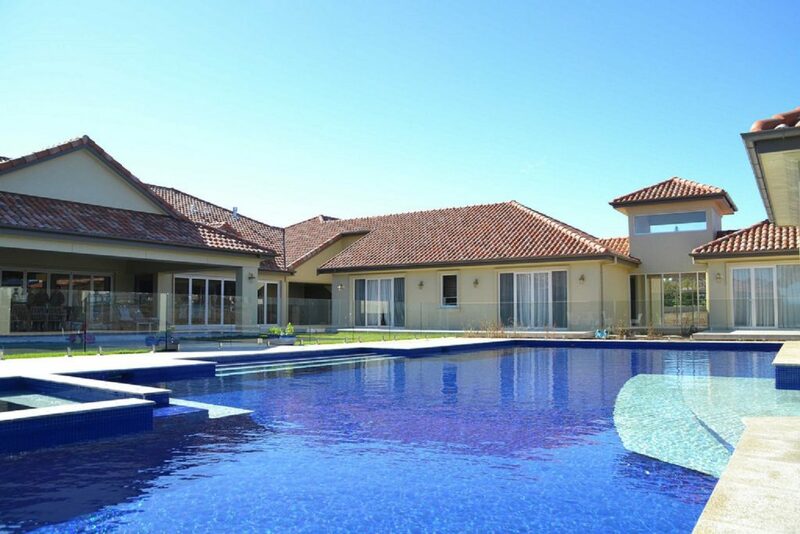 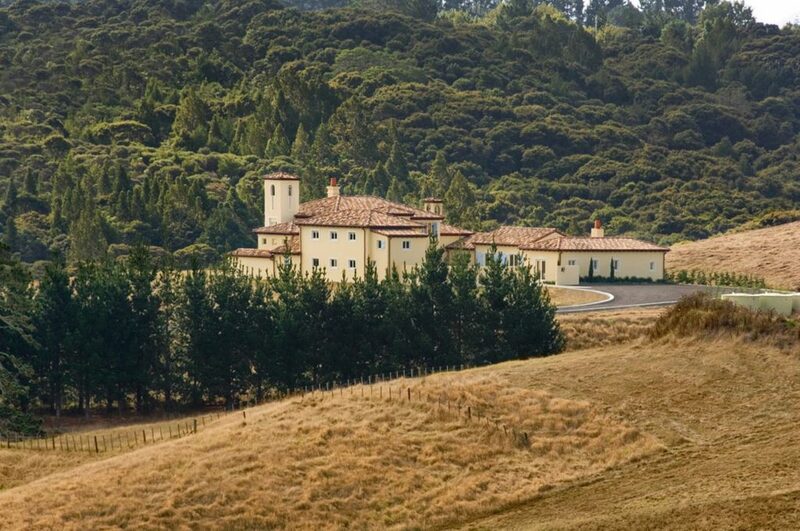 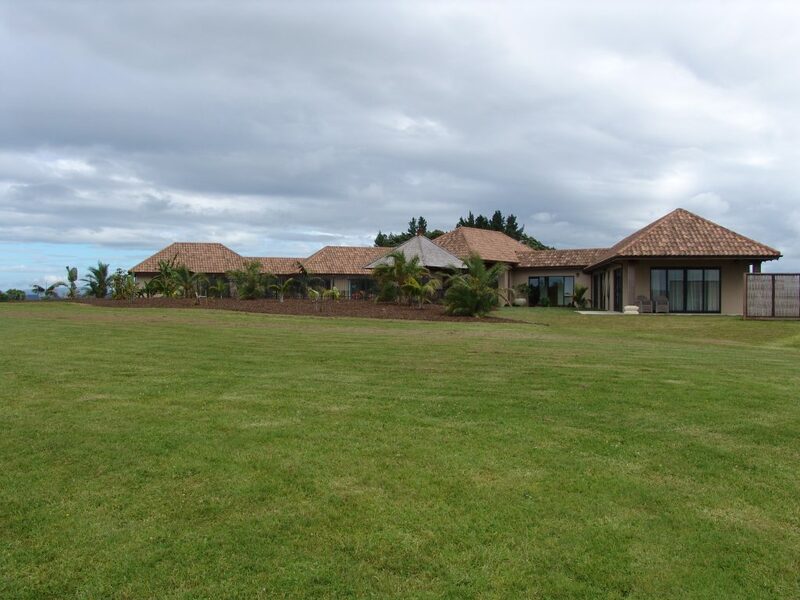 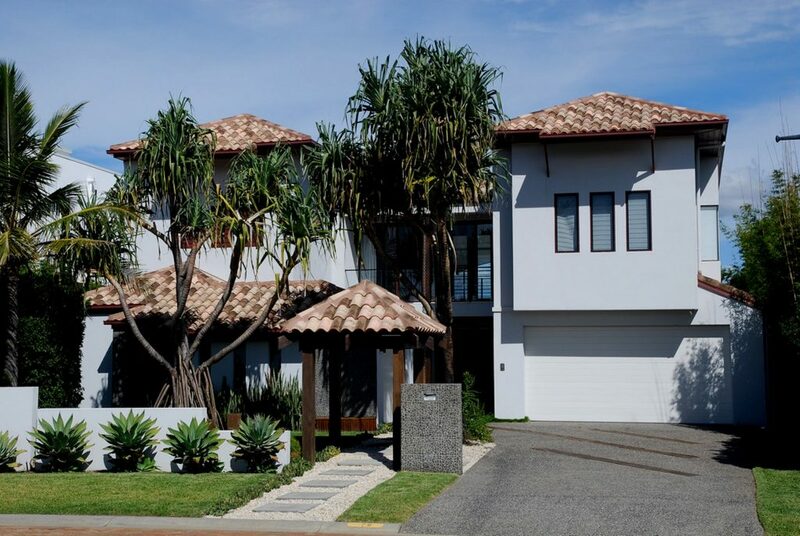 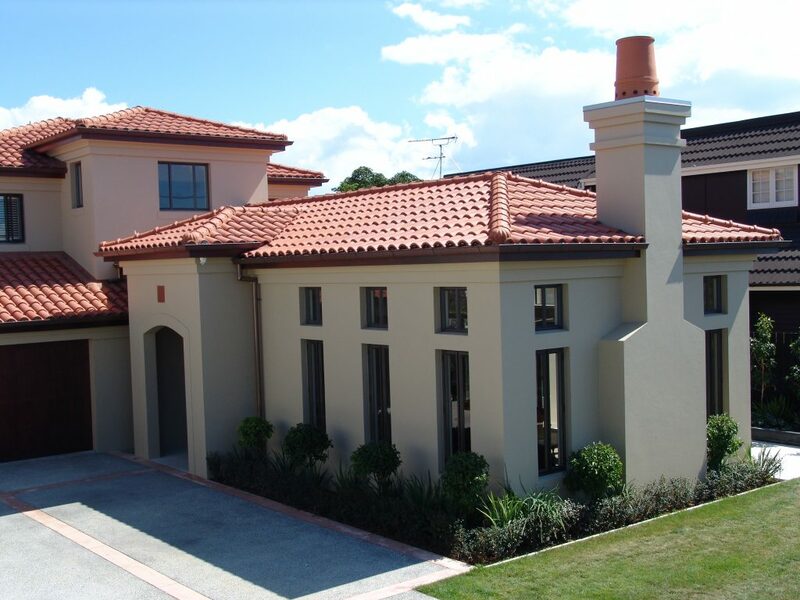 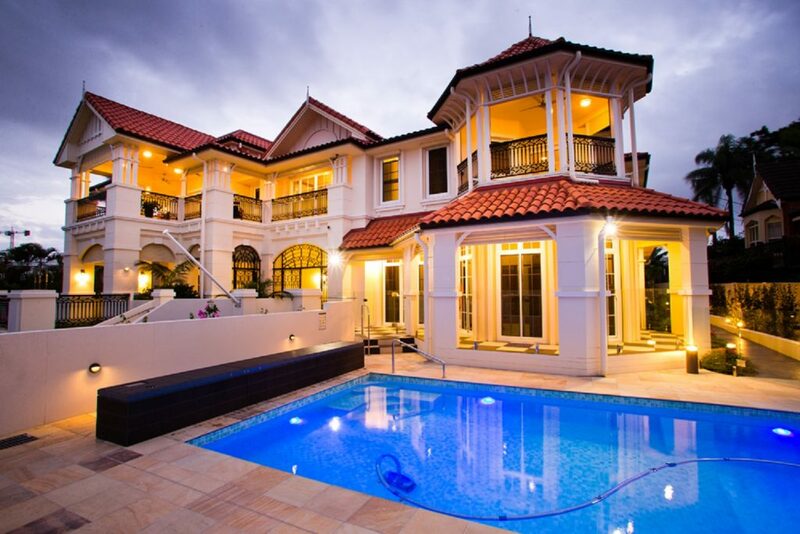 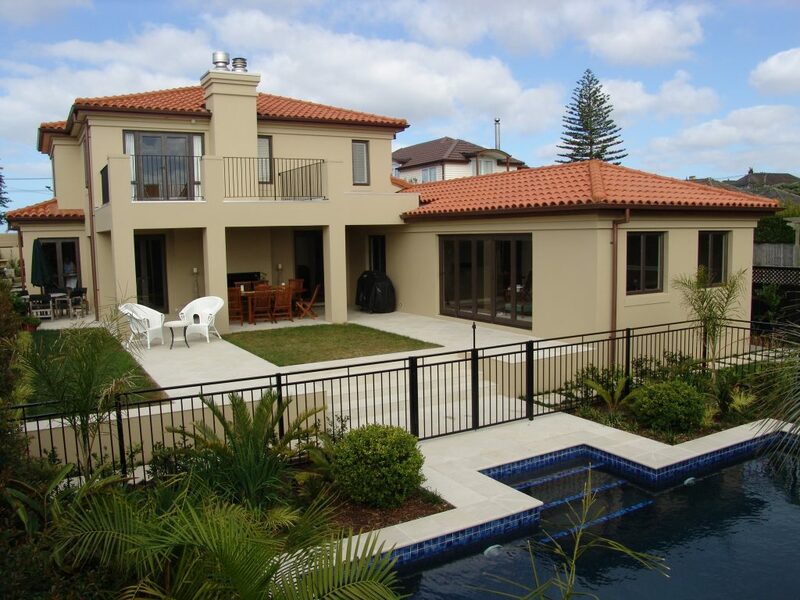 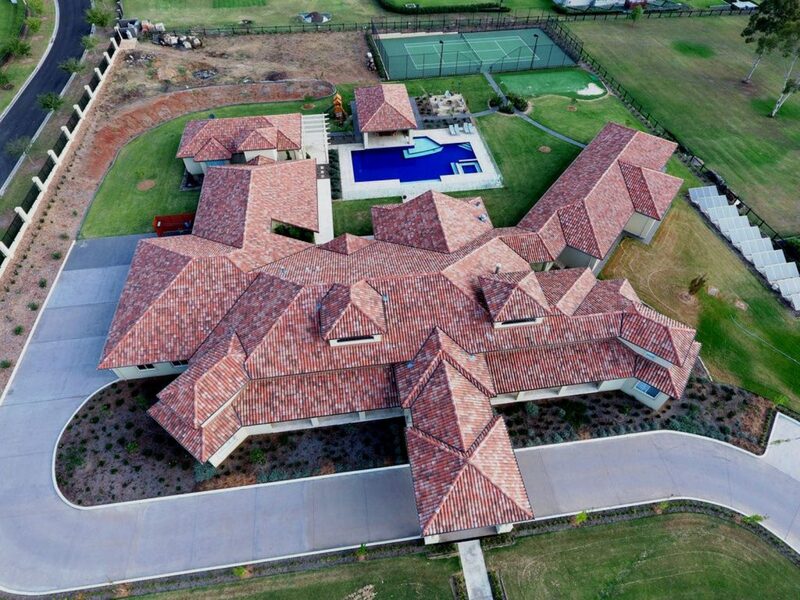 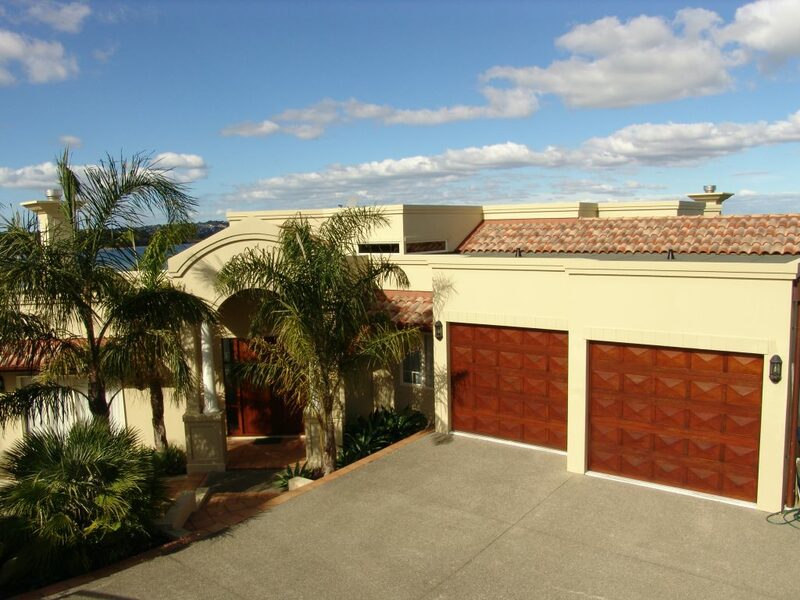 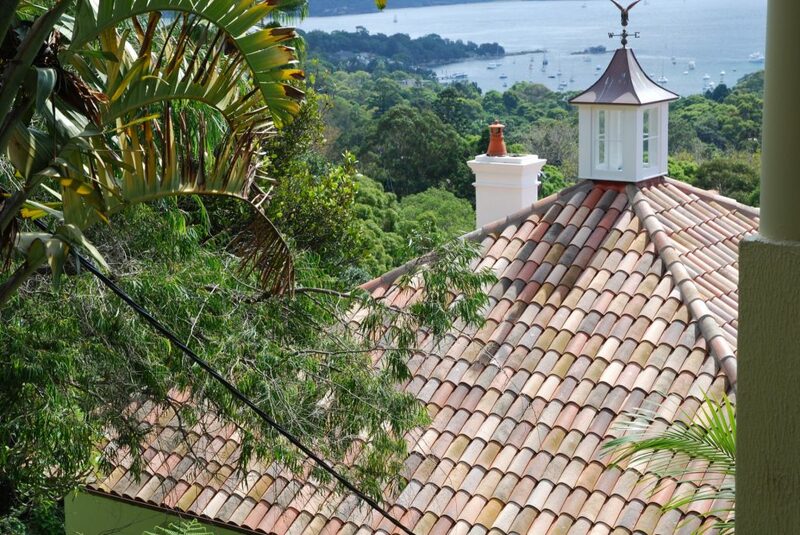 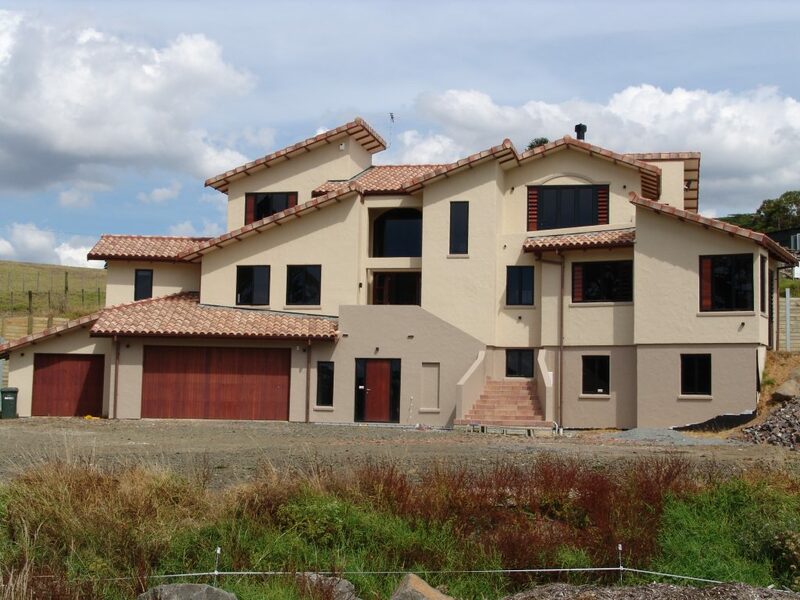 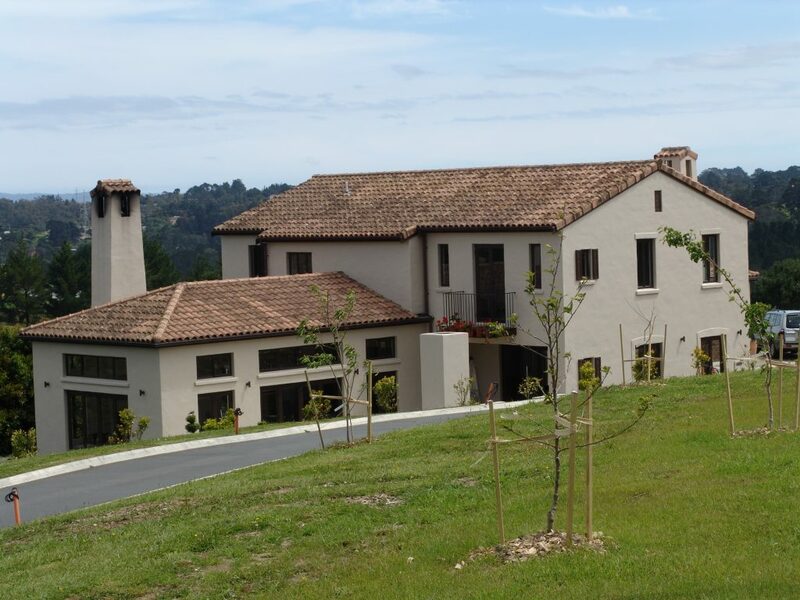 These special pieces are used to create a complete system that creates some of the beautiful roofs that can be seen throughout New Zealand and the rest of the world. 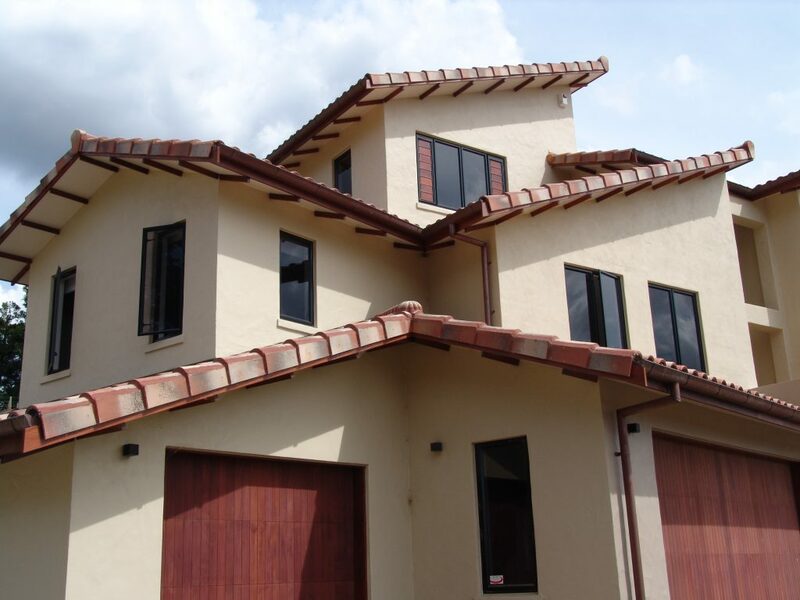 Each piece is designed to interlock the main roof with the ridges, hips, barges, and ventilation pipes. 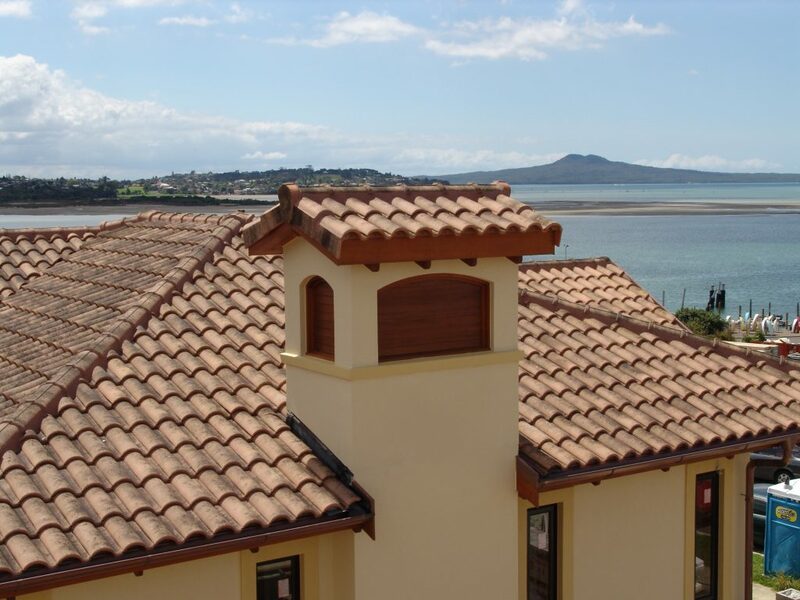 Below is the range that are used with every Solerati roof that is supplied in New Zealand. 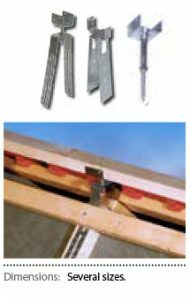 Ridge tile is secured by A04 Hooks or screwed into the batten. 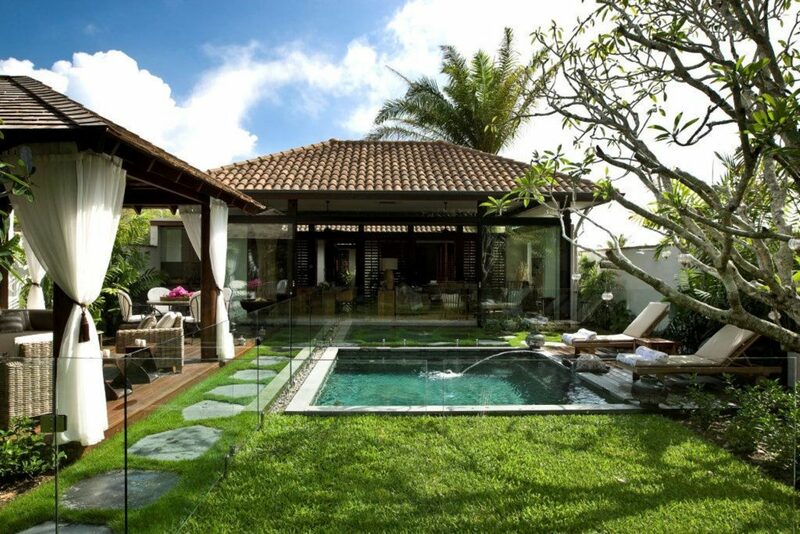 Hip end is the very end of the hip, which can be seen from the ground, and is commonly known as the cat paw. 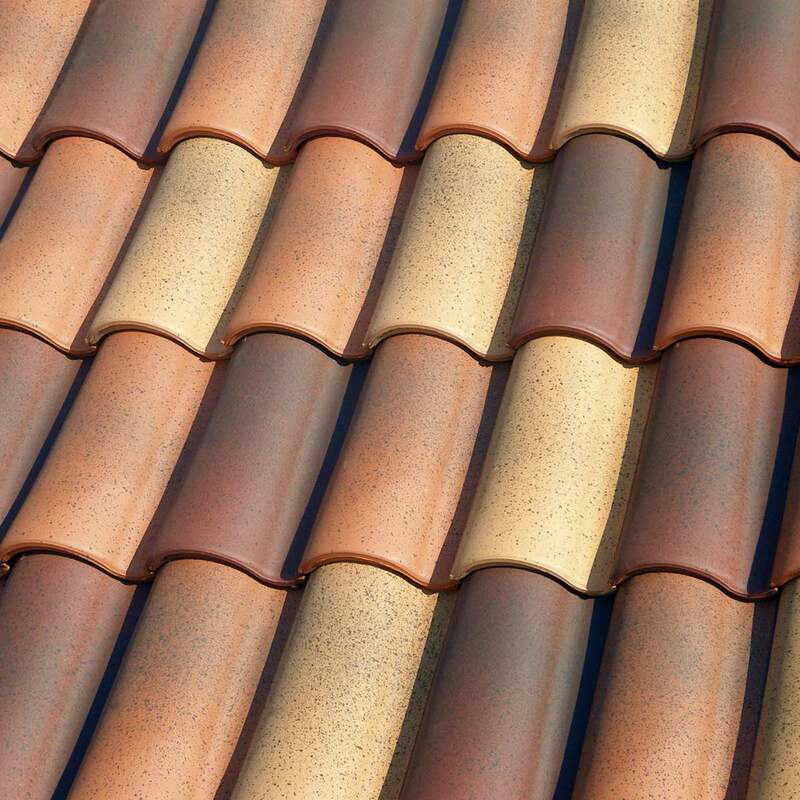 This finishes off this part of the roof to a distinctive finish. 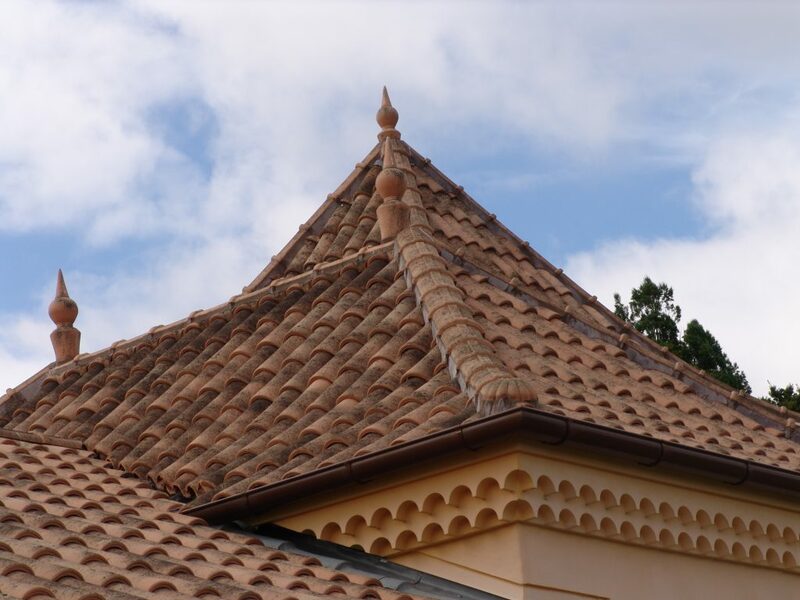 Gable end lines the hip end. 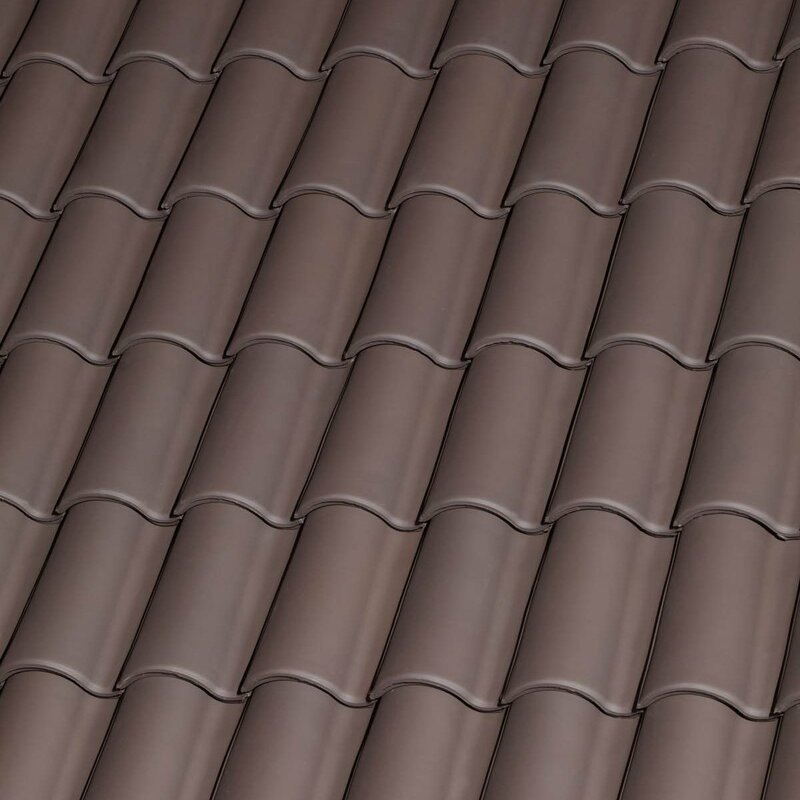 This tile brings togeather the right and left barge at the top of the gabel, giving it a finish that is visually apealing. 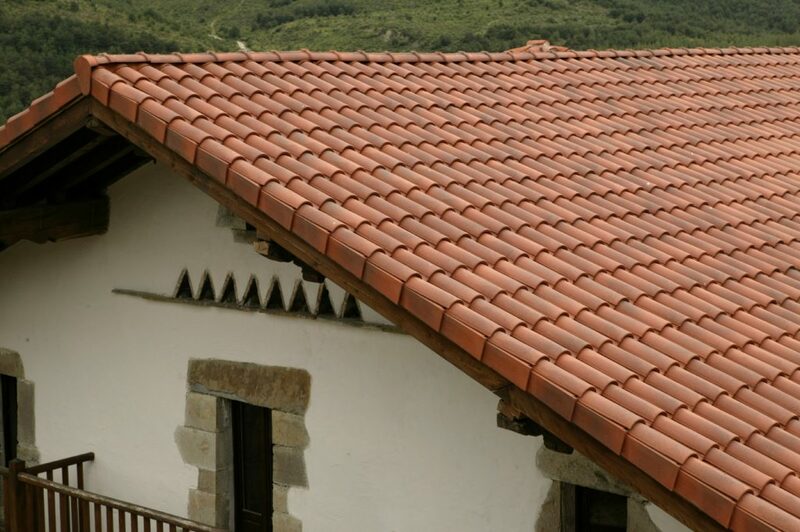 This product is fitted into the deep curve at the ridge end of the Cureva tile. 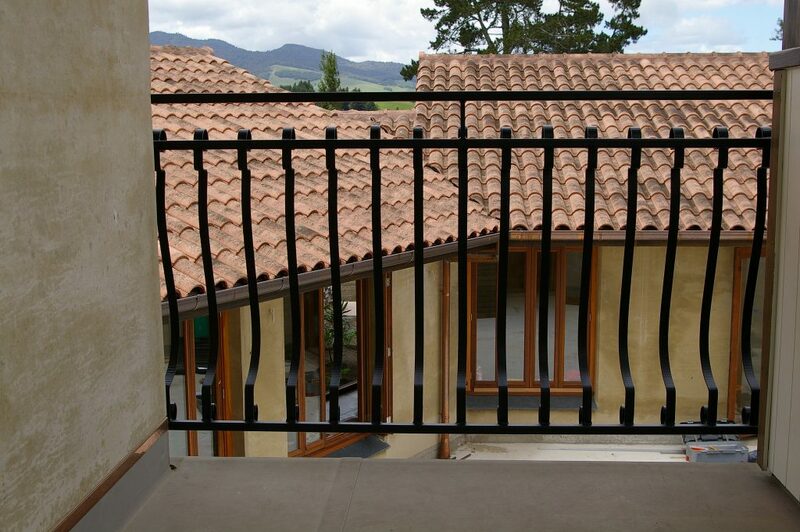 This enables the ridge to sit on the Alu Roll allowing better ventilation. 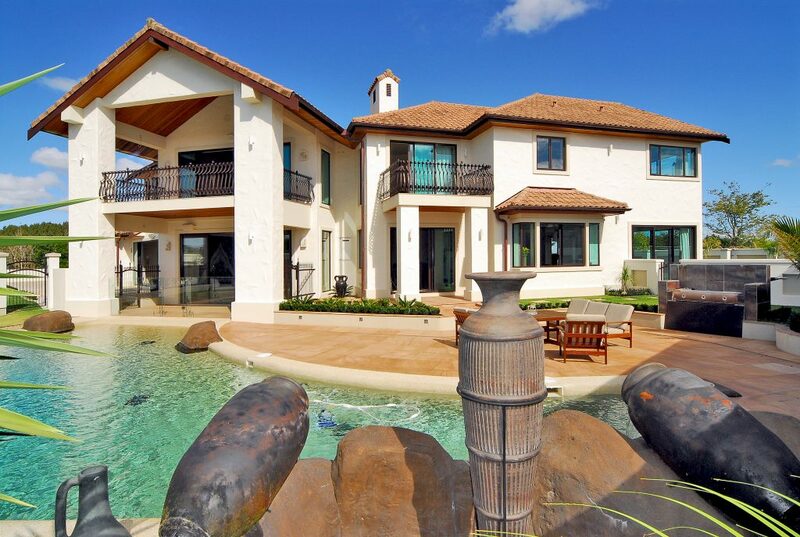 The left and right barges finish off the barge ends. 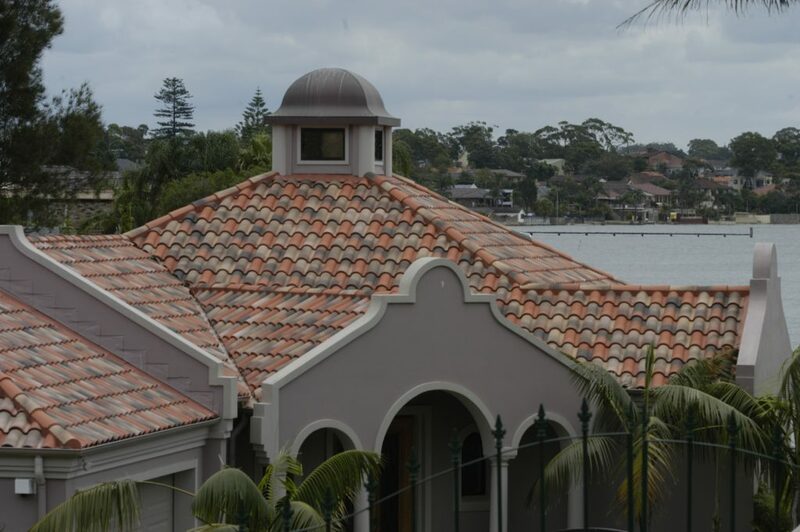 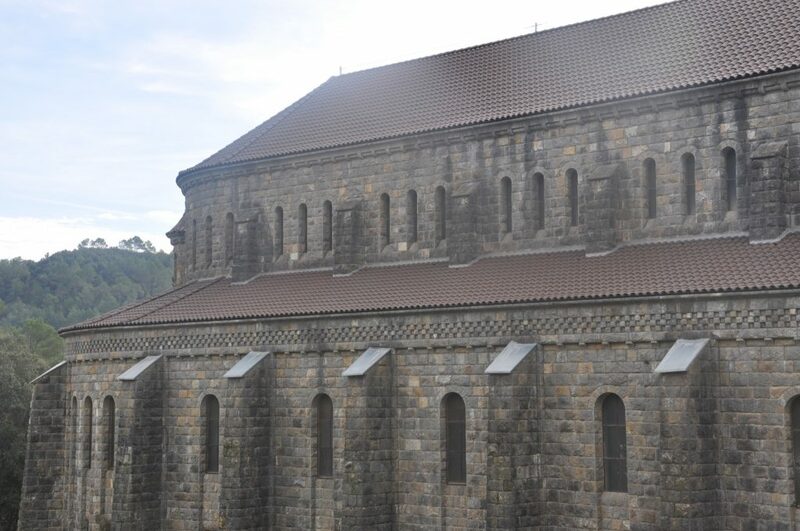 The tiles at the right end of the roof are interlocked with the barge by a half tile (Q16). 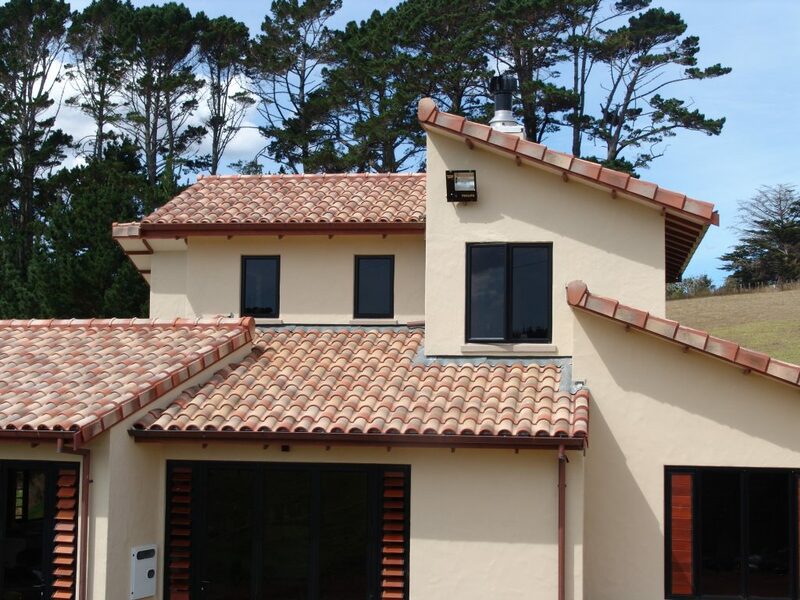 All homes require a vent pipe. 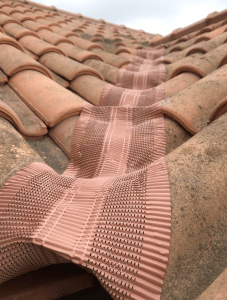 It is common to place this vent pipe through the roof tiles and then to create a lead flashing around the hole in the tile. 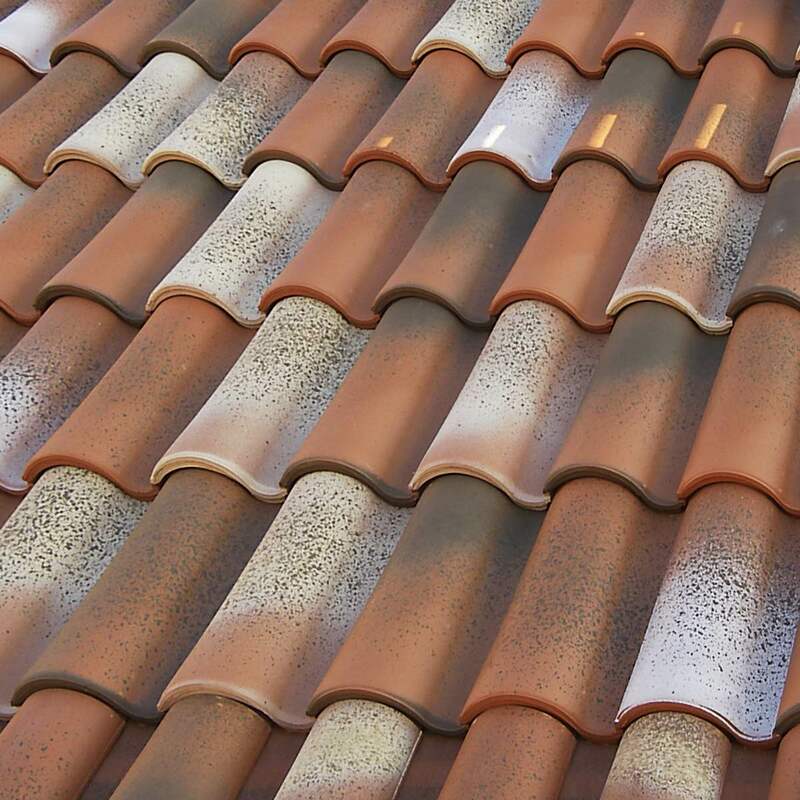 Solerati have a base tile that is then covered by pipe cover (Q26) or pipe tube (q61). 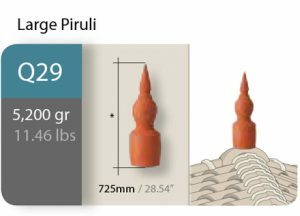 Piruli is used for decorative purposes and the top of the gable. 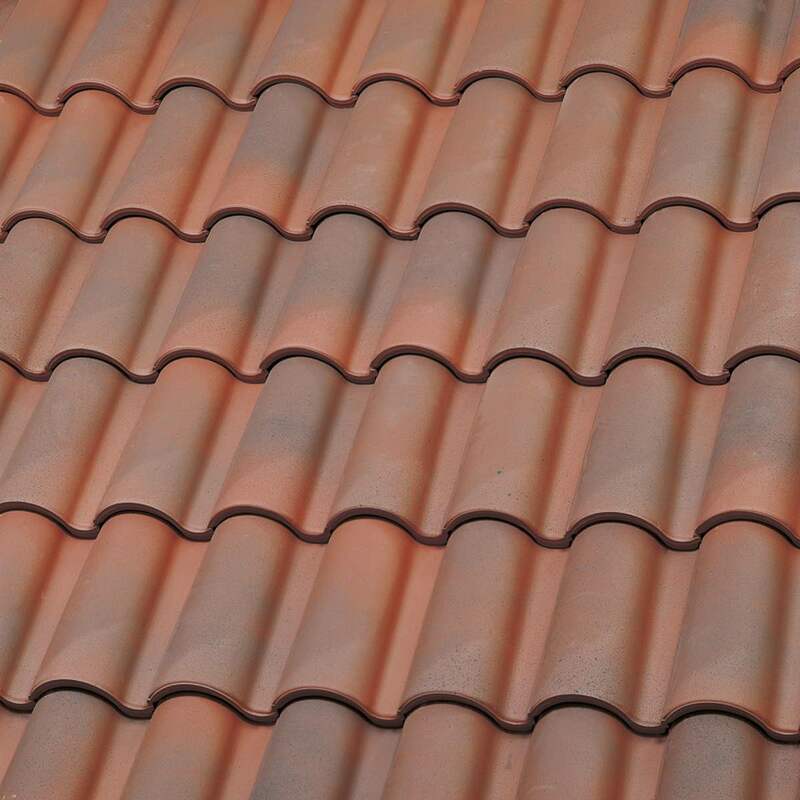 4-way and 3-way apex are placed at the top where the ridge and the hip join togeather. 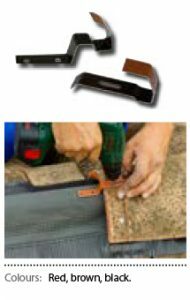 Using this accessory helps to protect the joint from the weather. 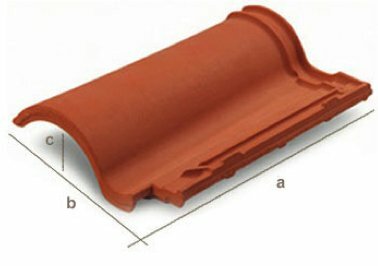 Clay bird vent is used in the bottom of the eave. 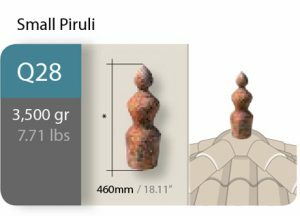 While it is designed to eliminate bird and vermin entry, it is also used more as a decorative piece, particularly when seen from the ground. 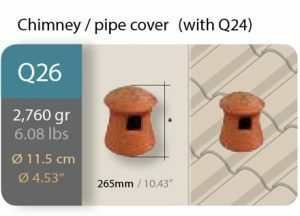 These two different styles of Chimney/ Pipe covers combine with Q24 Tile and is actually used to cover the vent pipes that protrude through Q24 providing a water proof system and covering a unsightly vent pipe using the matching colour as the roof tiles. 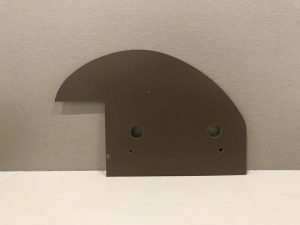 A01 – custom made bird plate has a two fold purpose. 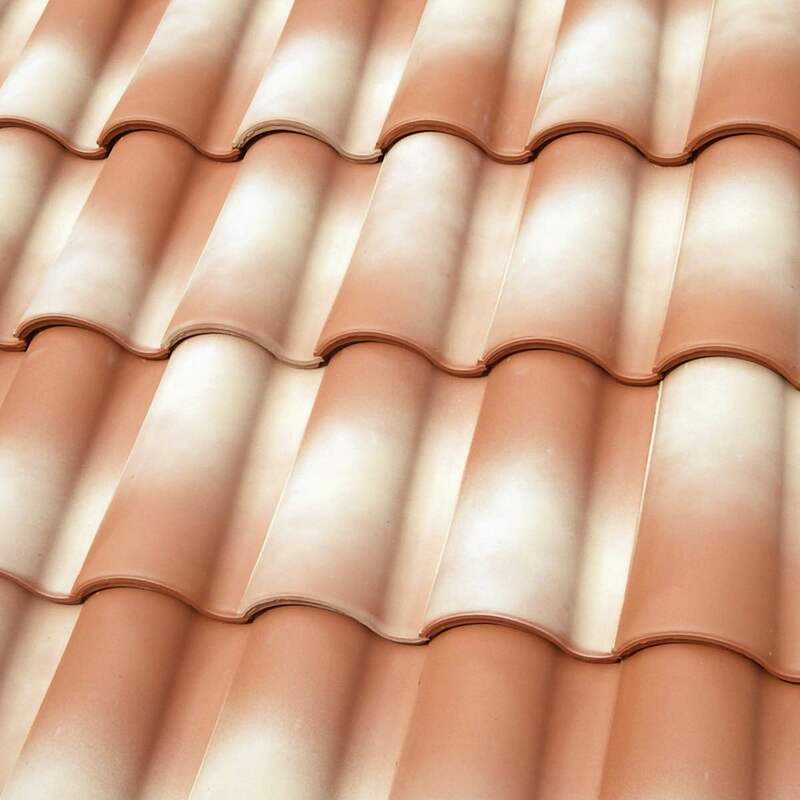 Firstly to stop birds and vermon as well as ventilate. 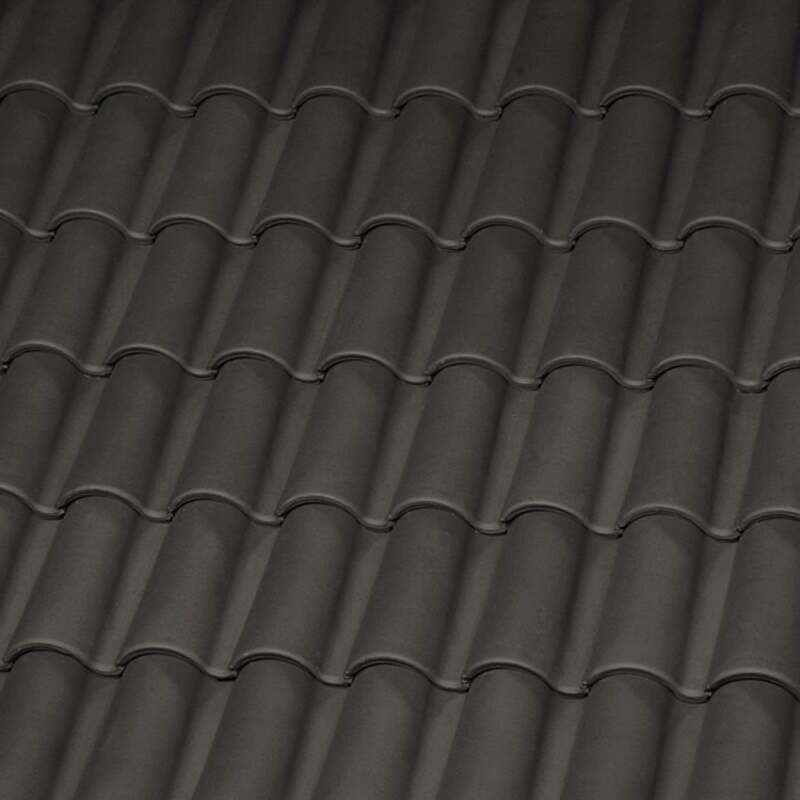 But just as important, it is designed to lock down the bottom tile. 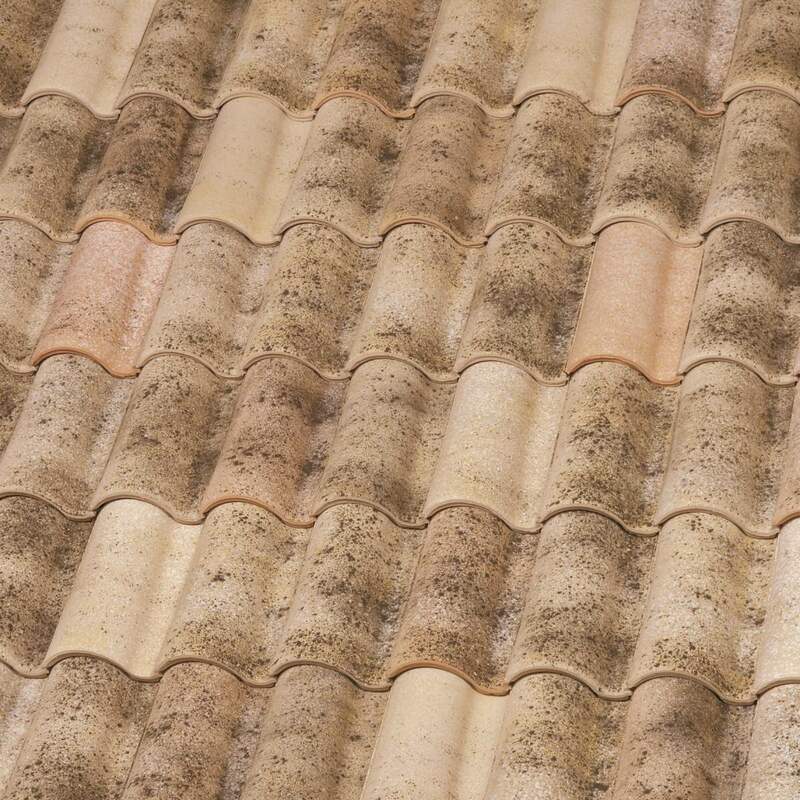 Roofs that do not use this method are subject to tiles lifting and causing damage, particuarlly in strong winds. 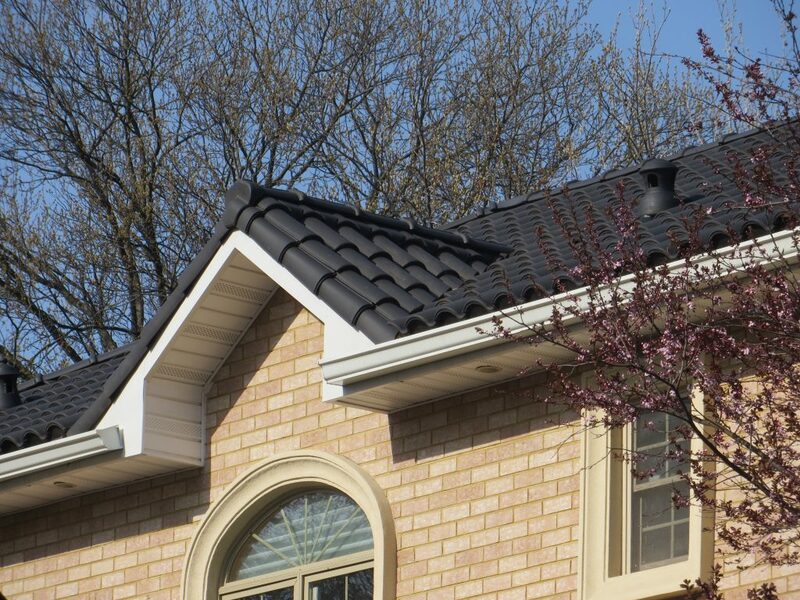 A02 – adjustable ridge brackets are designed to hold a length of timber along the ridge. 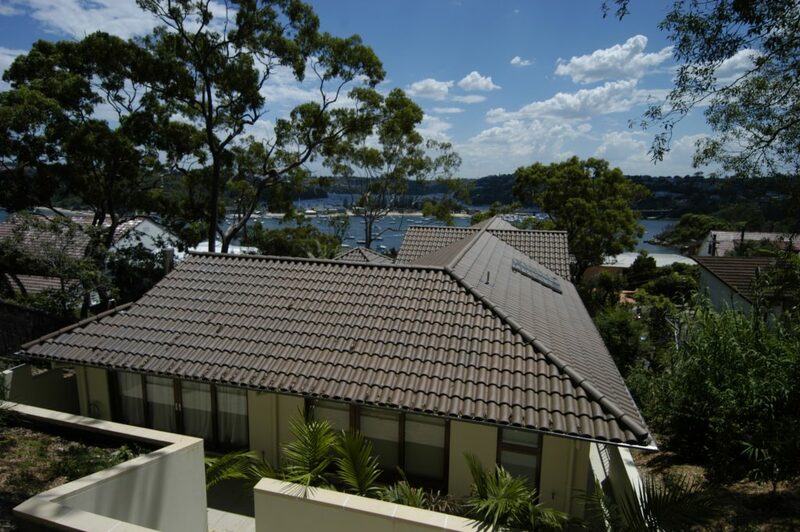 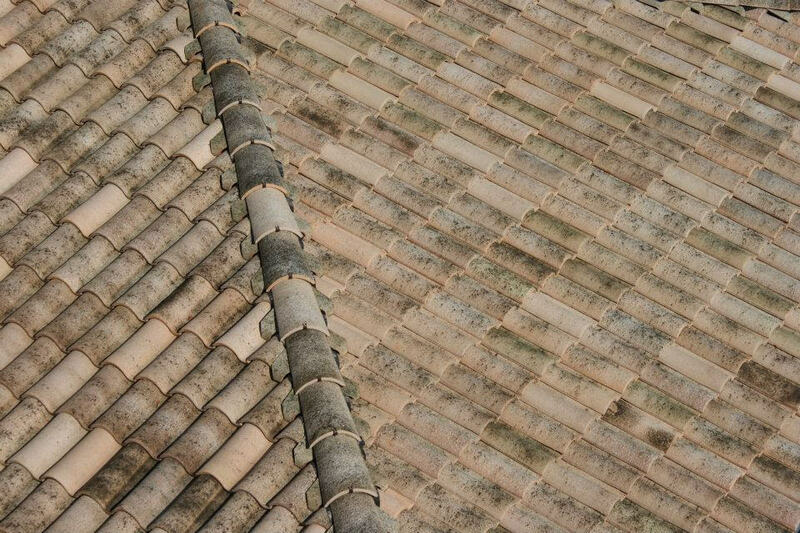 Ridge tiles are either cliped on to the timber or screwed on separately. The bracket can be filled to each end of the ridge with a string line used to create an accurate line that enables the ridge to look perfectly straight from the ground. 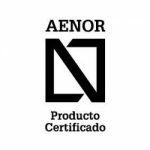 A03 – Alu Roll has been designed for two purposes. 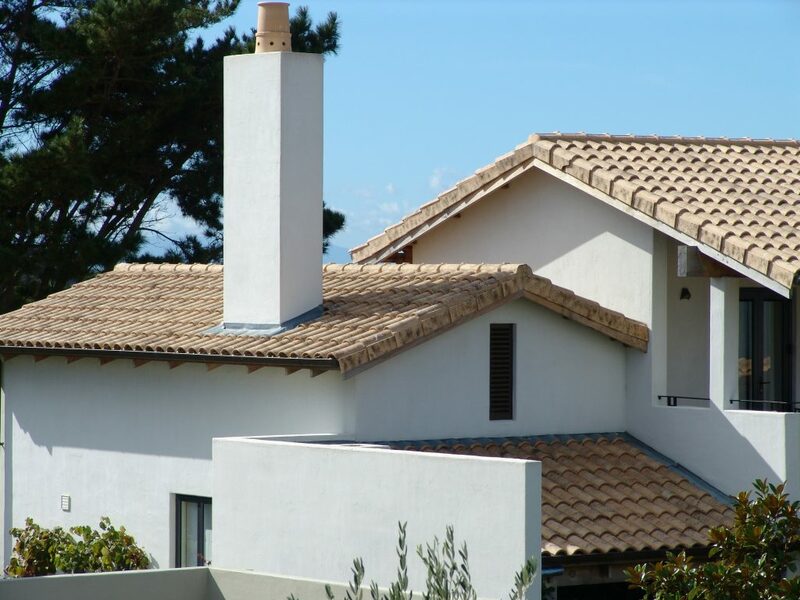 Firstly to prevent water ingress and to provide a ridge and roof cavity ventilation system. 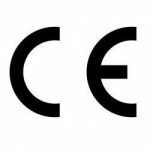 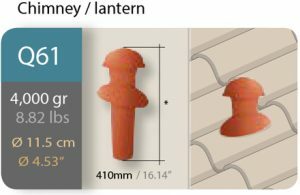 A04 – These are especially designed to be screwed to the ridge batten and for each ridge to clip in to place. 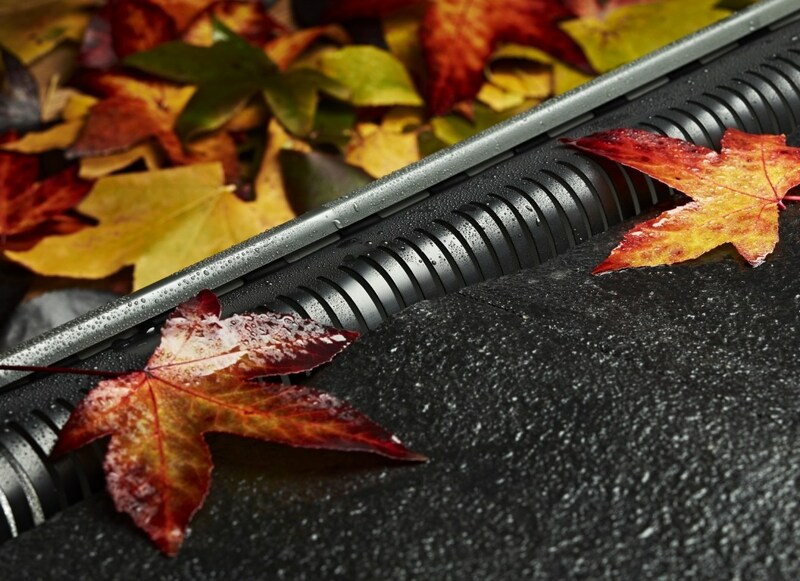 A05 – Gutter protection is designed to protect the gutter from leaves and birds. 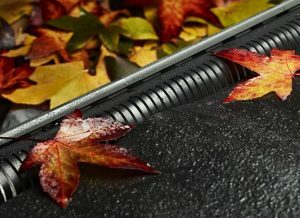 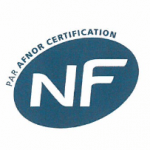 A revolutionary product that fits almost all existing and new gutters. 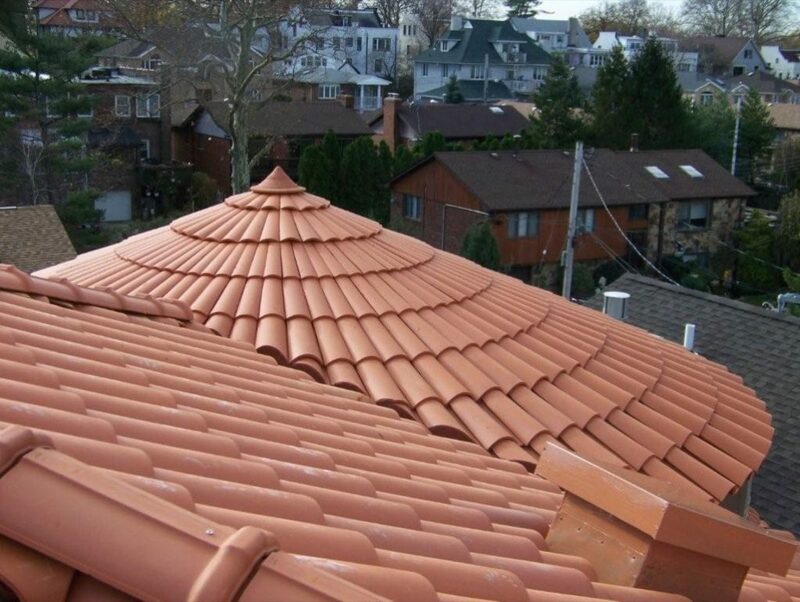 This product is easily and quickly installed. 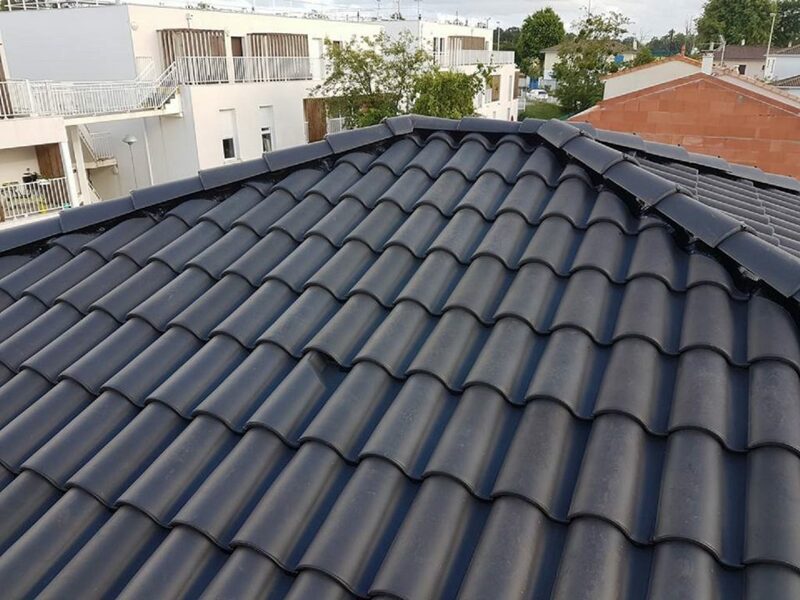 It does not require screws/silicon and the issues around placing it under tiles that interfere with the water channels of tiles. 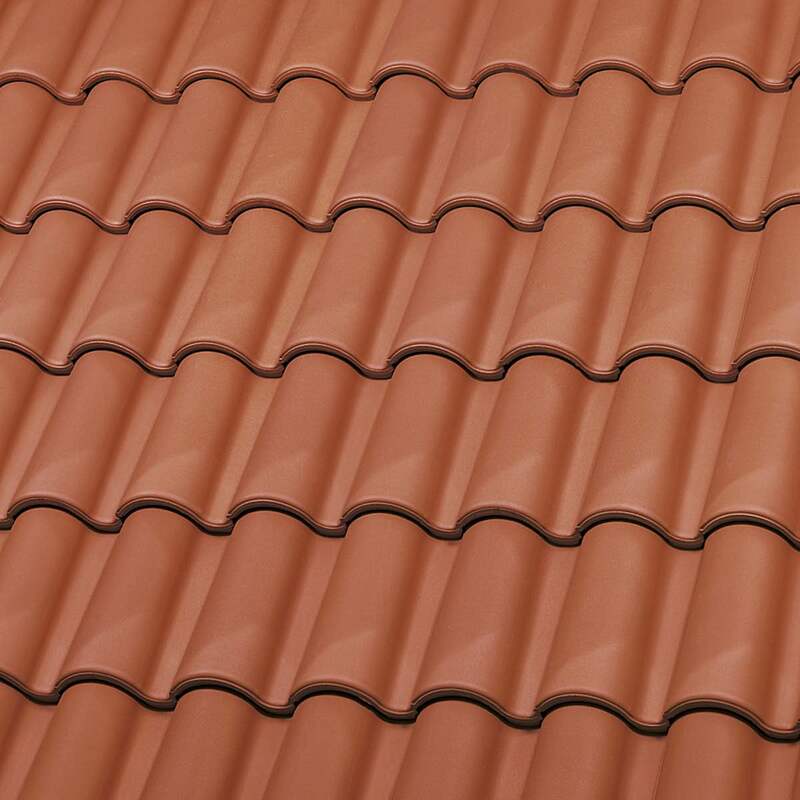 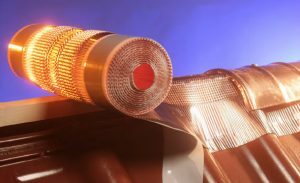 A06 – Valley Protection is made of aluminium, has been fully tested, and has been proven to stop all leaves, birds, and rodents entering the valley and the roof cavity.